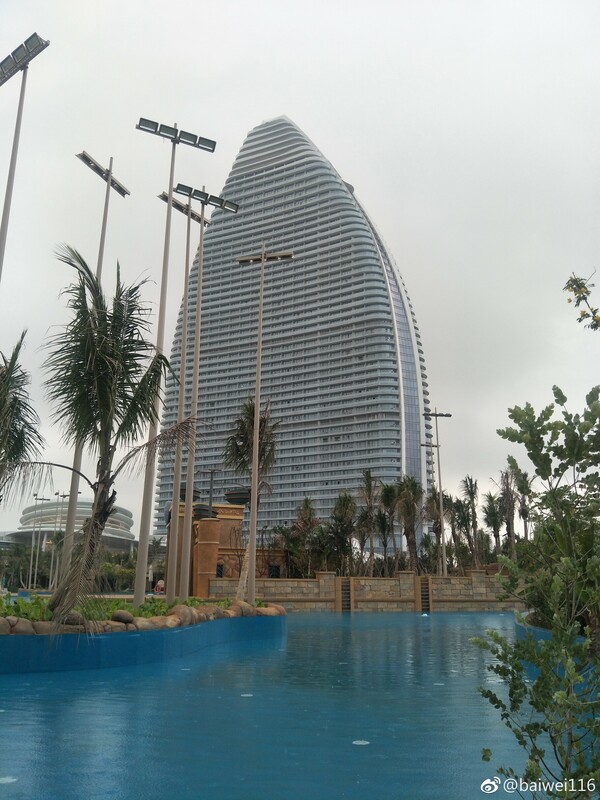 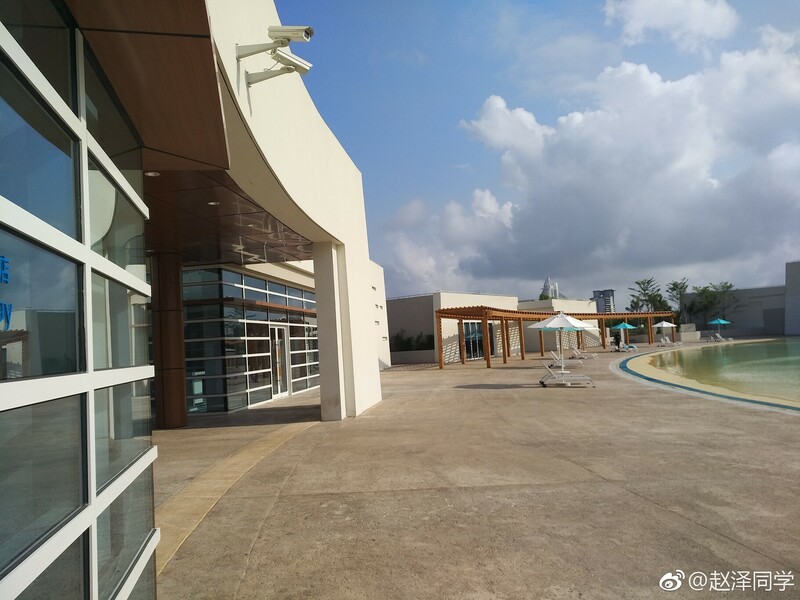 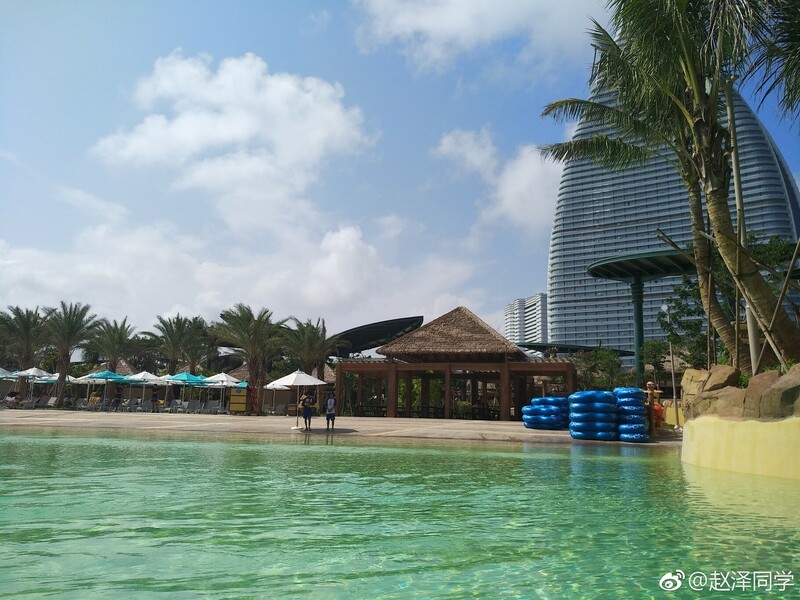 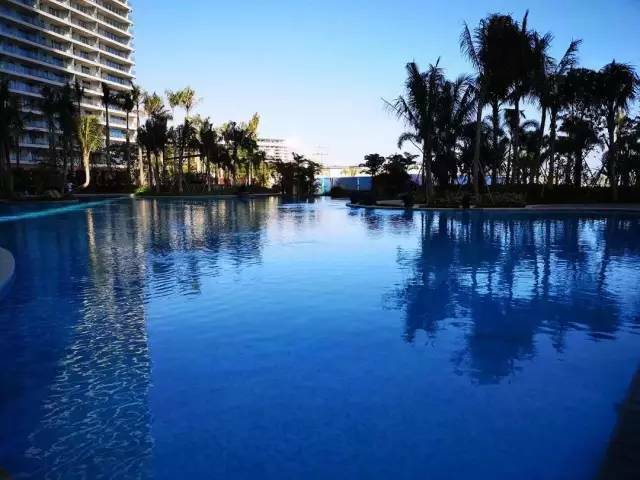 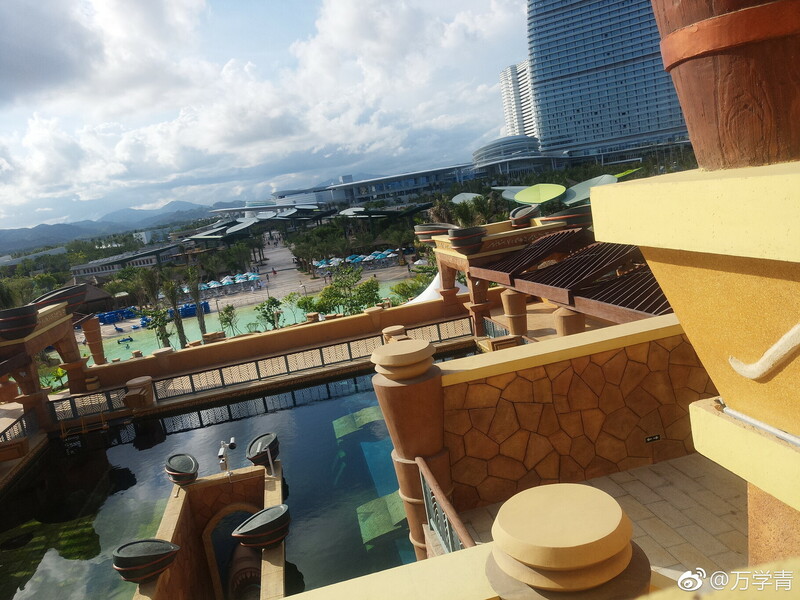 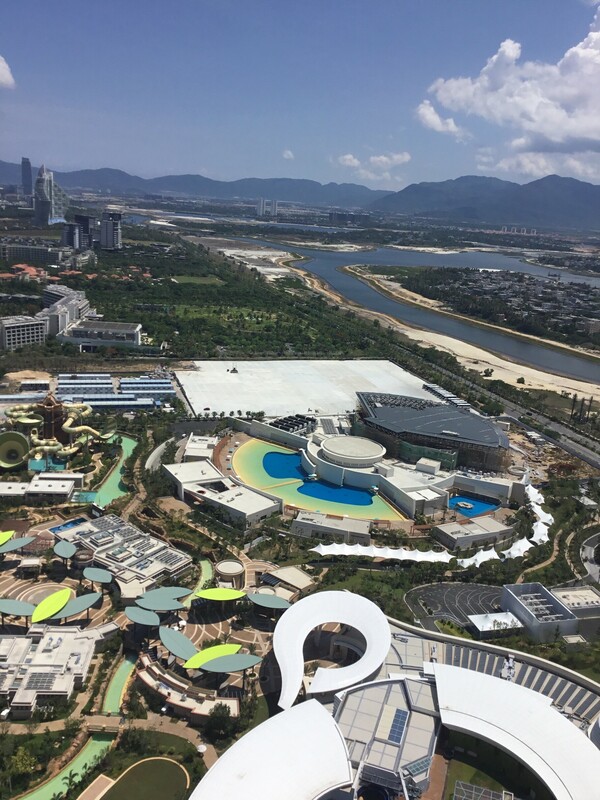 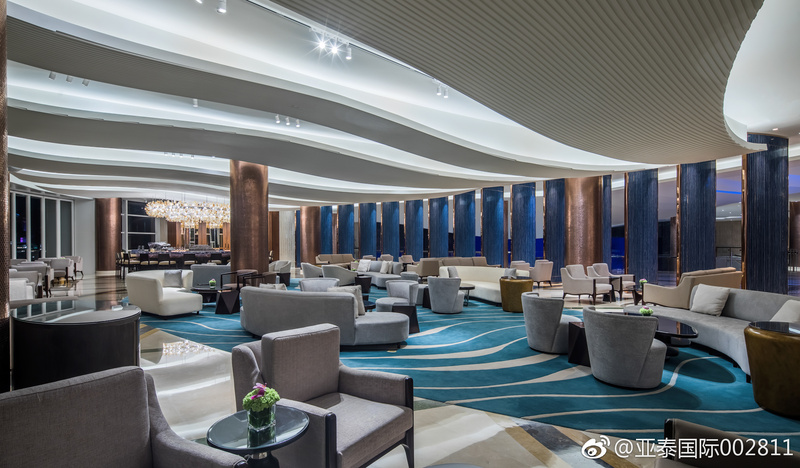 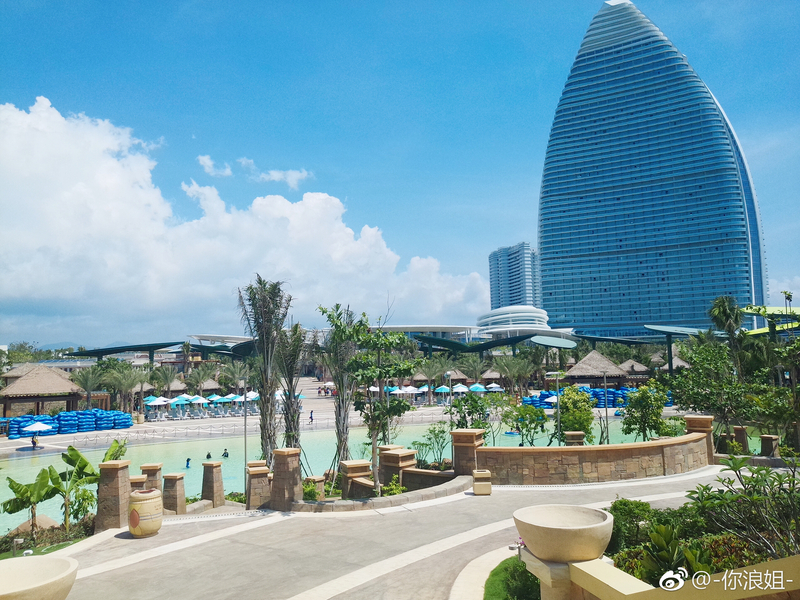 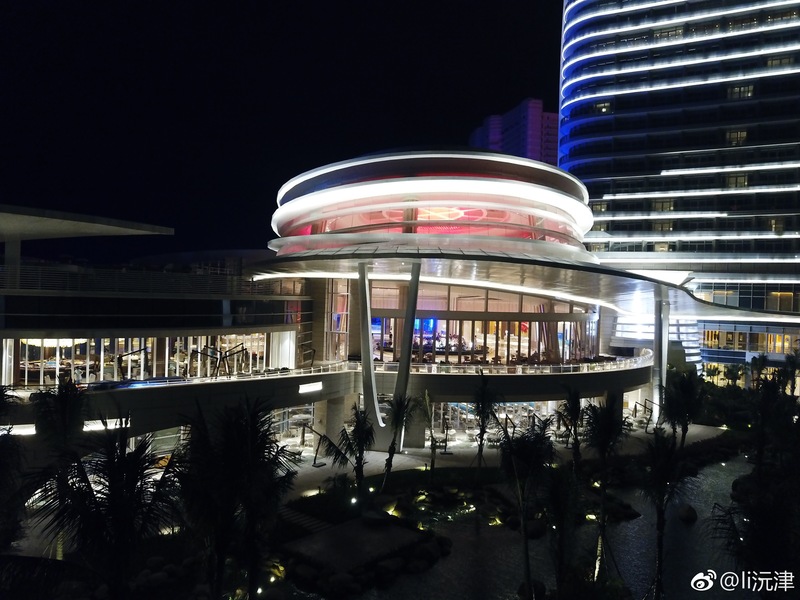 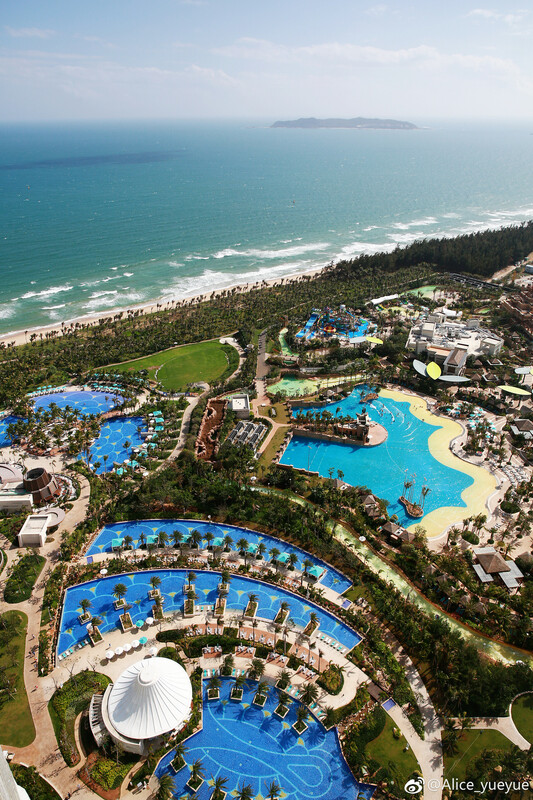 The C has soft opened at Atlantis Sanya! 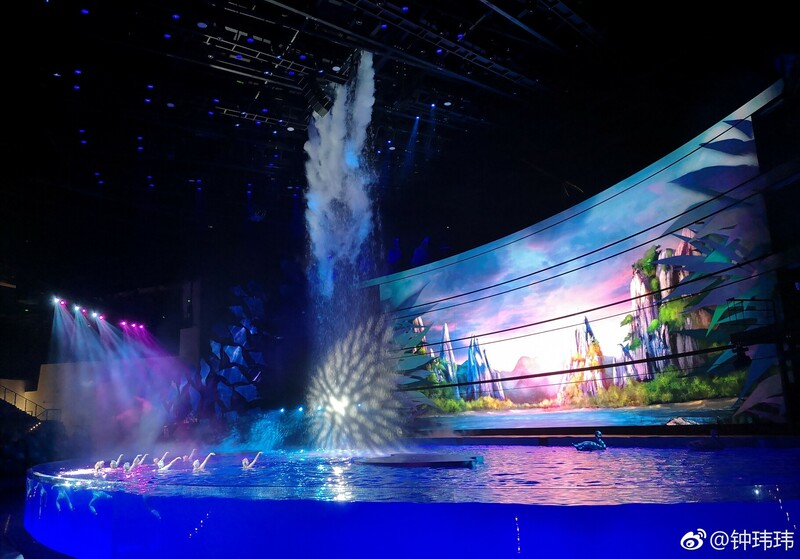 Once it officially debuts on February 5 the hour long show will take place twice a day at 4pm and 7:30pm and purchased tickets are required. 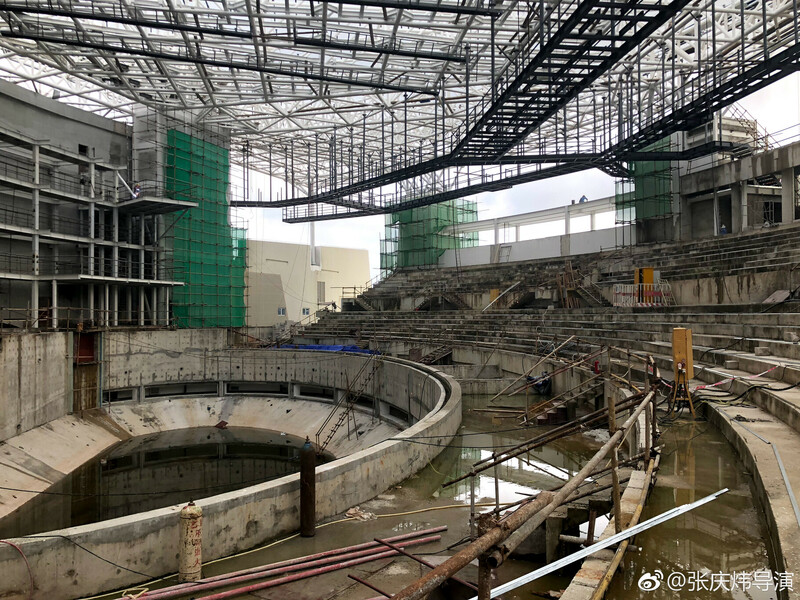 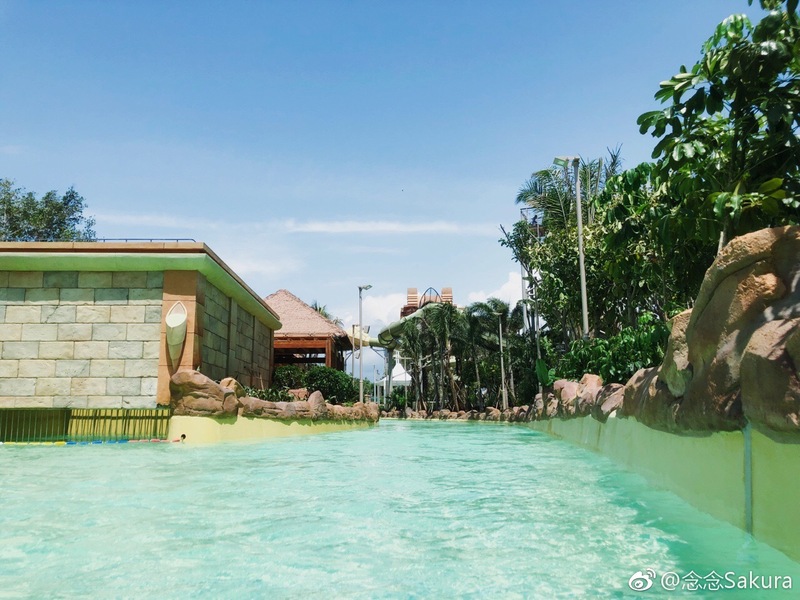 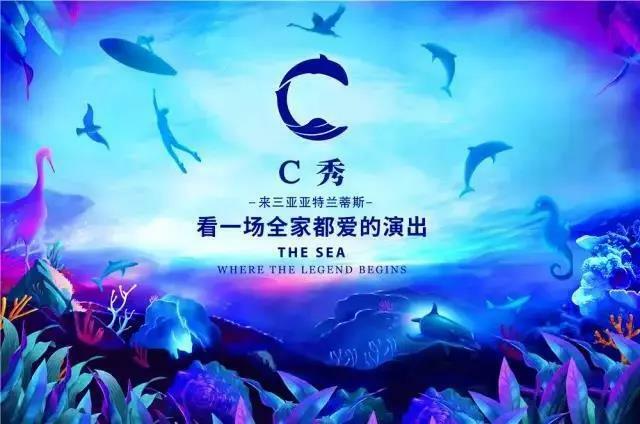 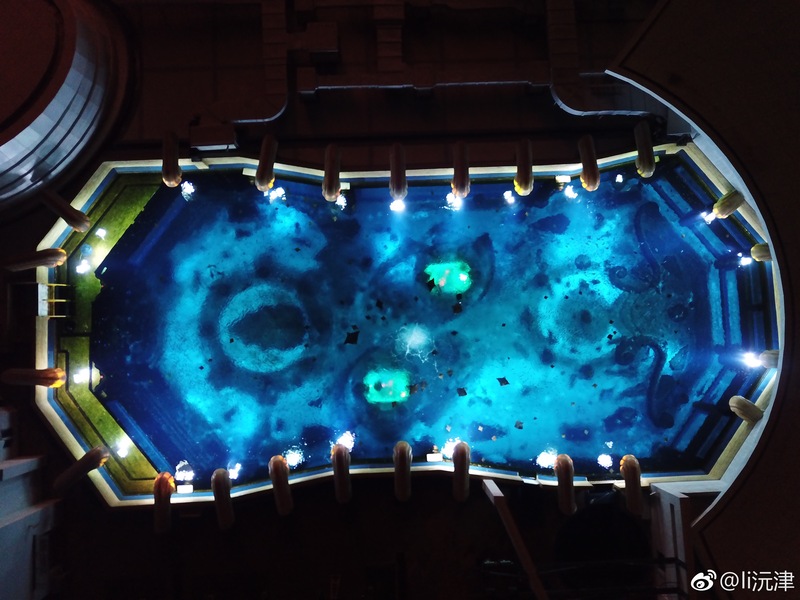 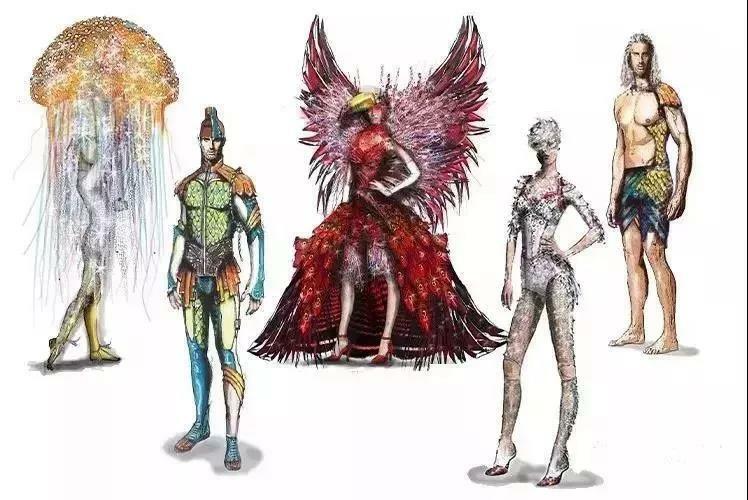 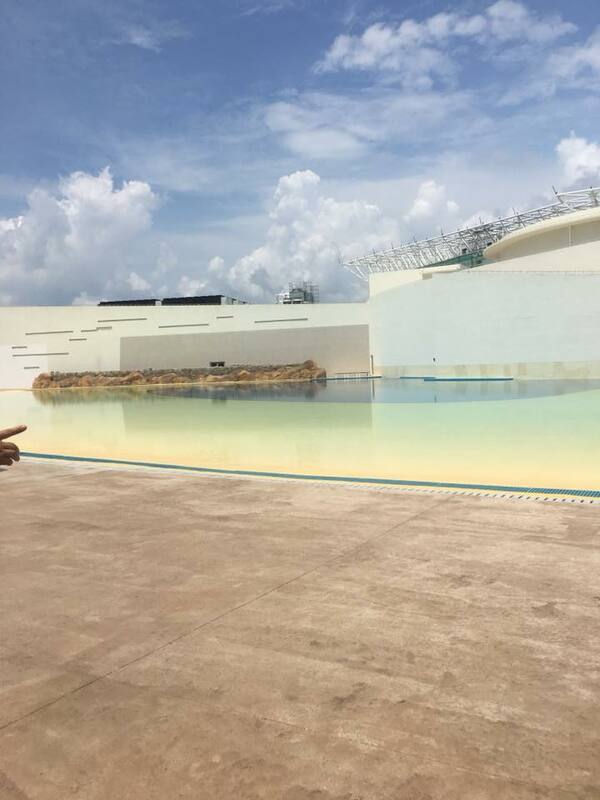 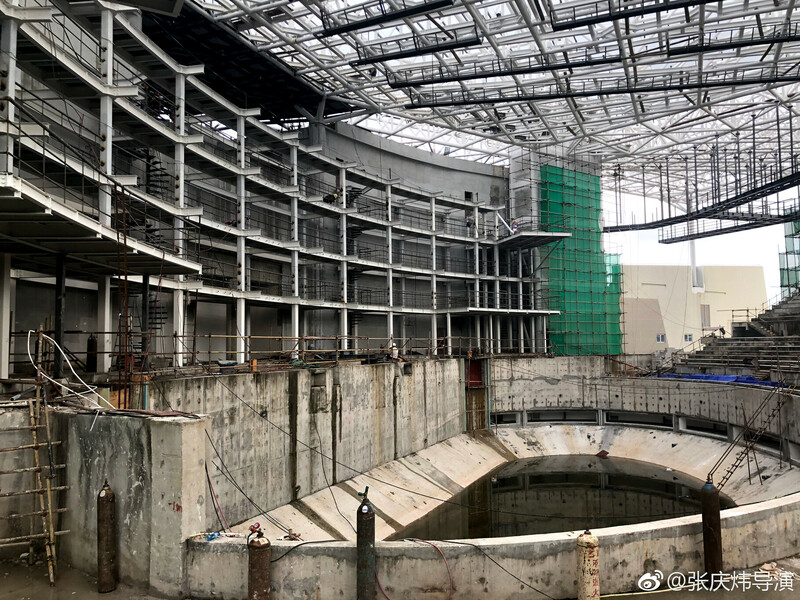 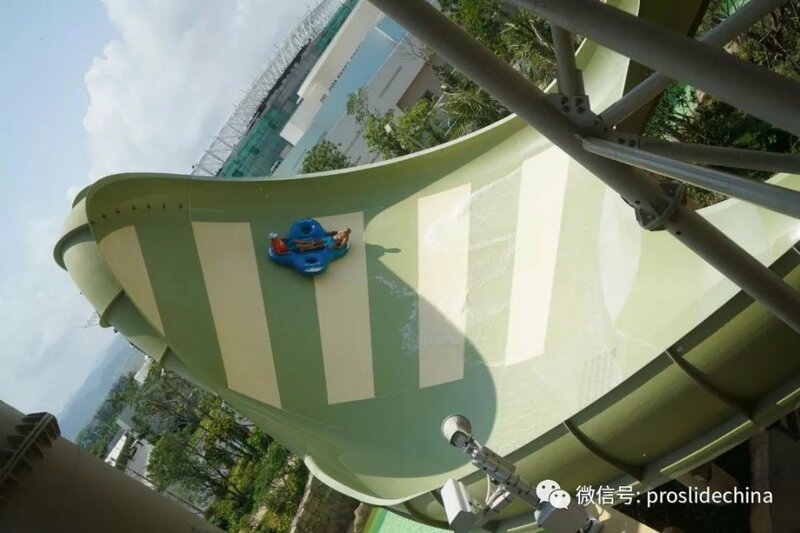 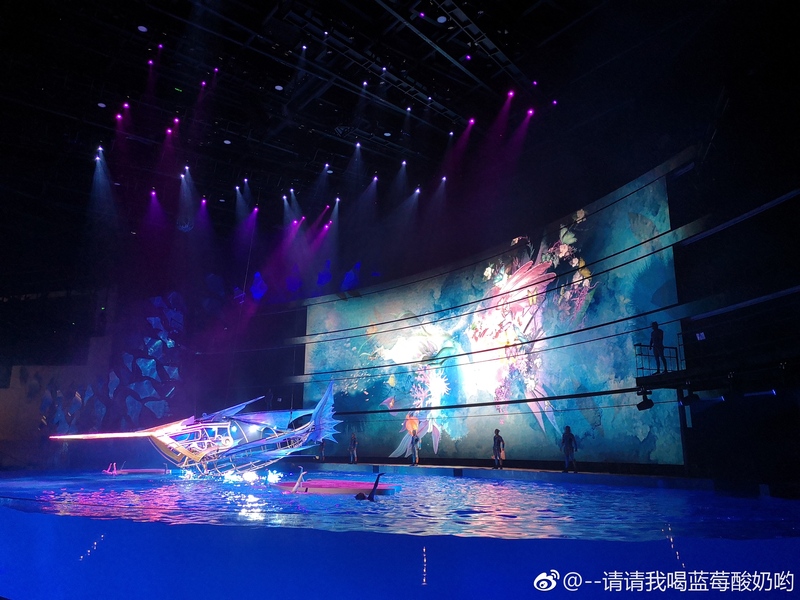 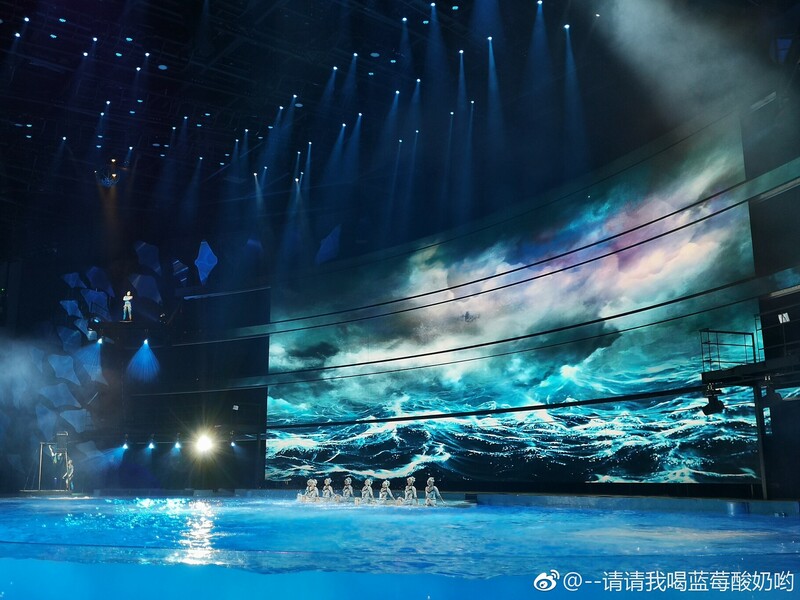 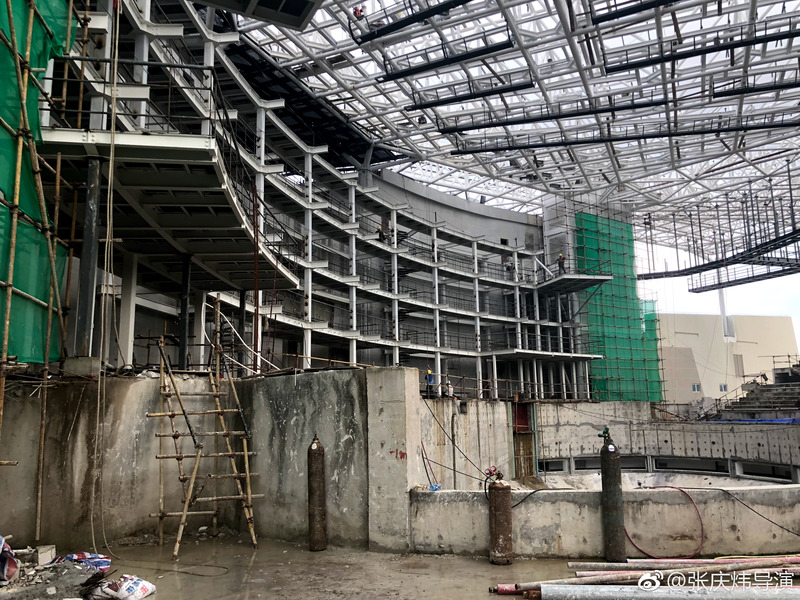 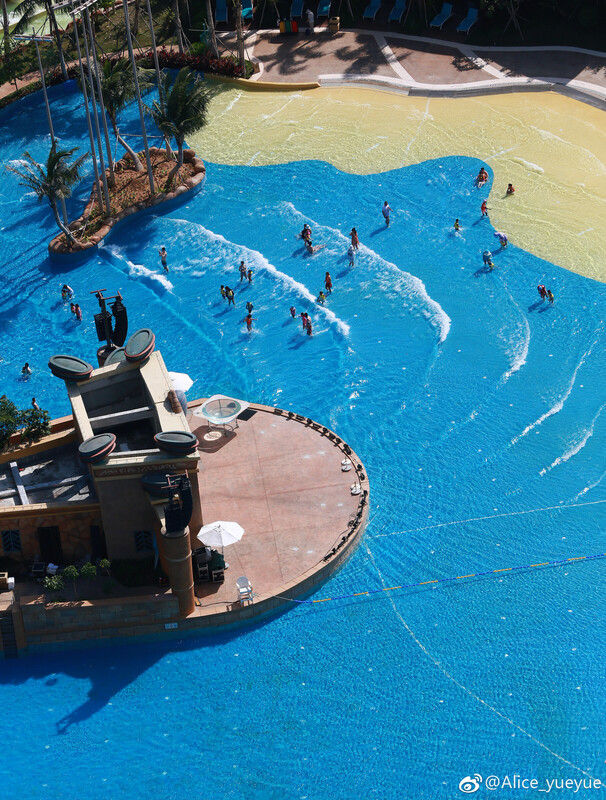 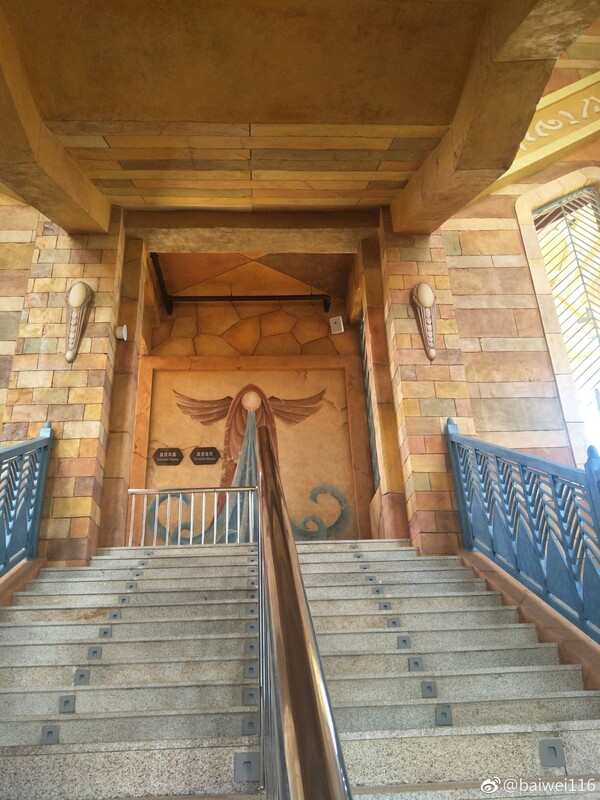 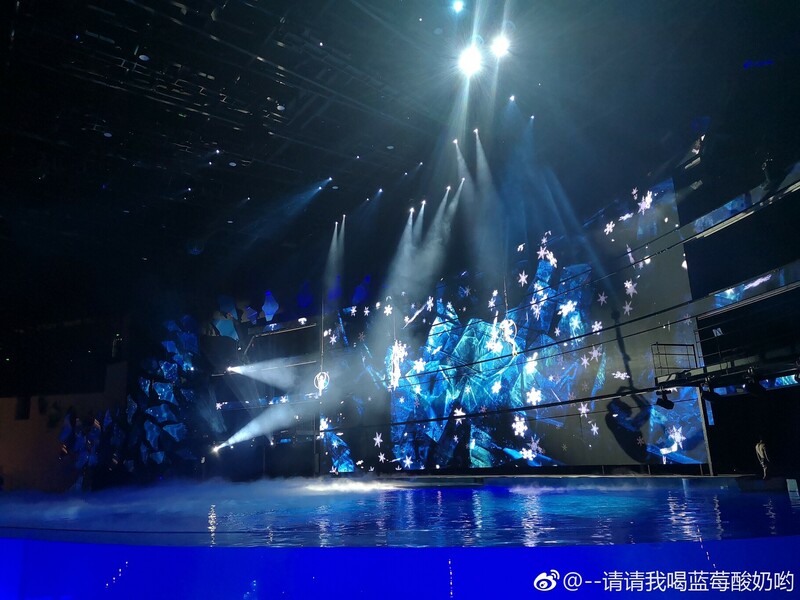 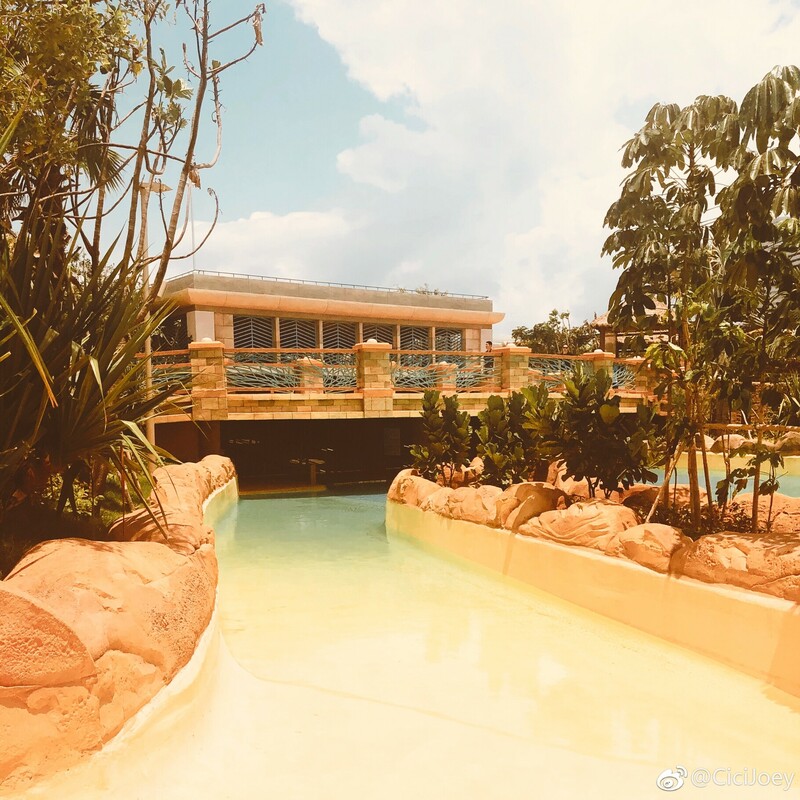 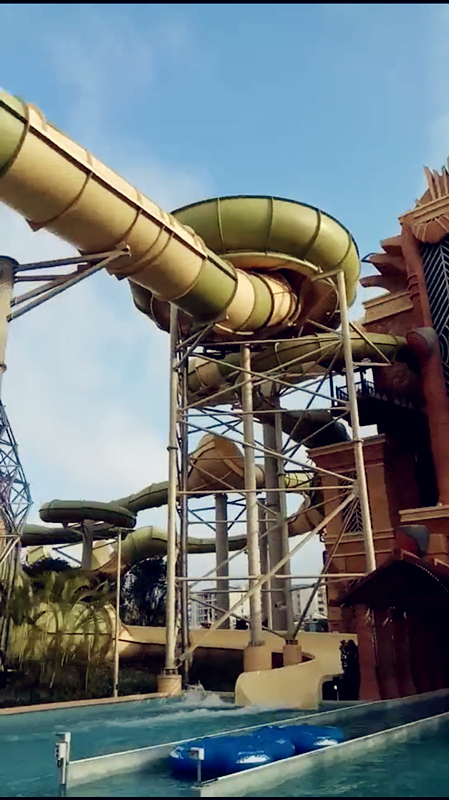 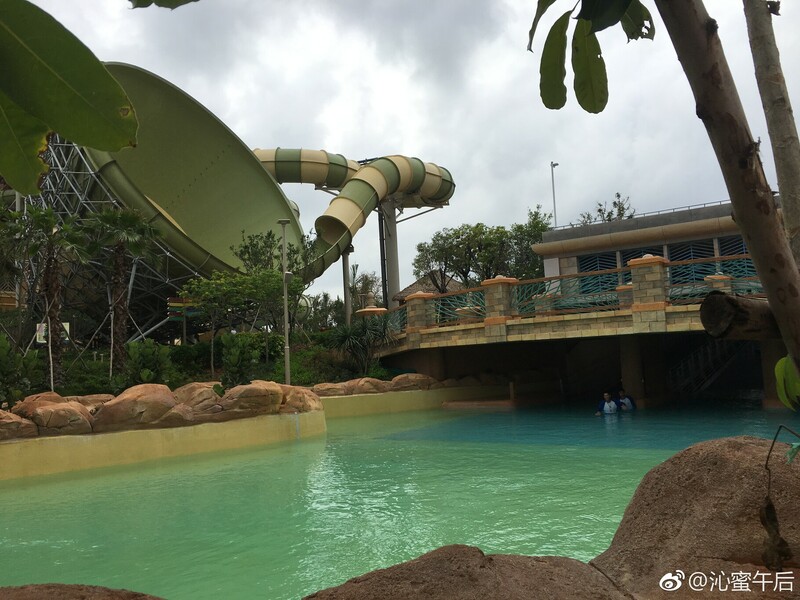 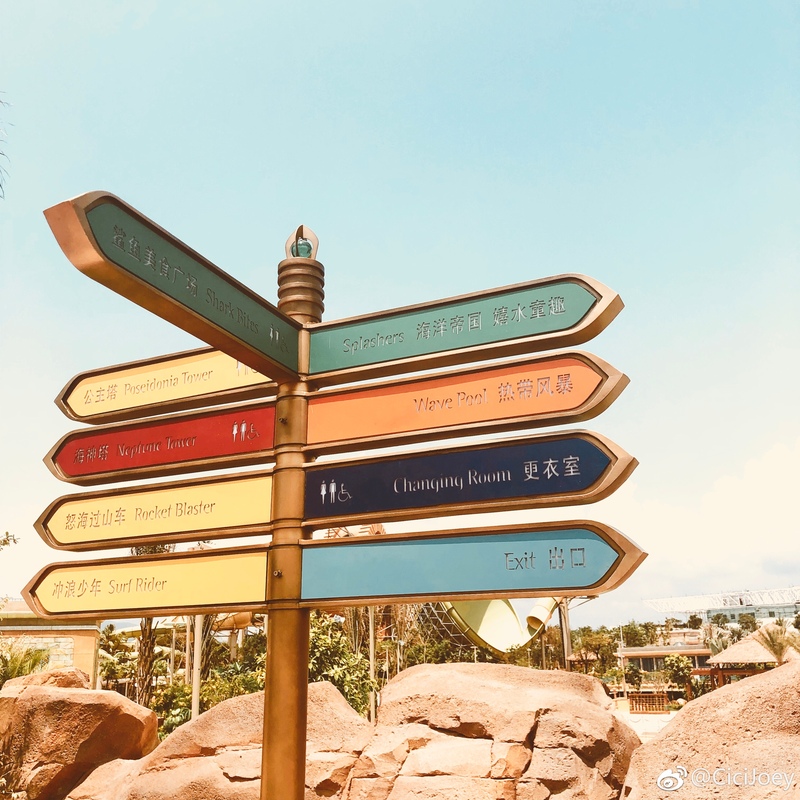 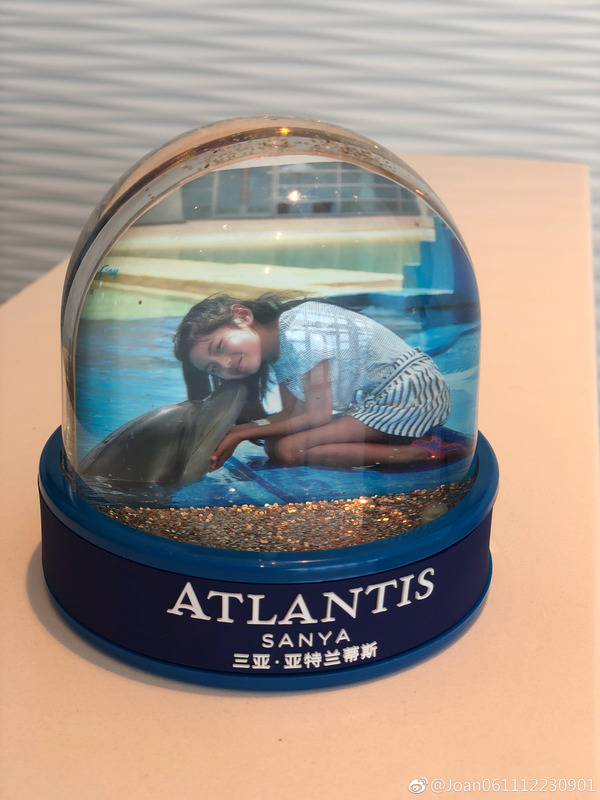 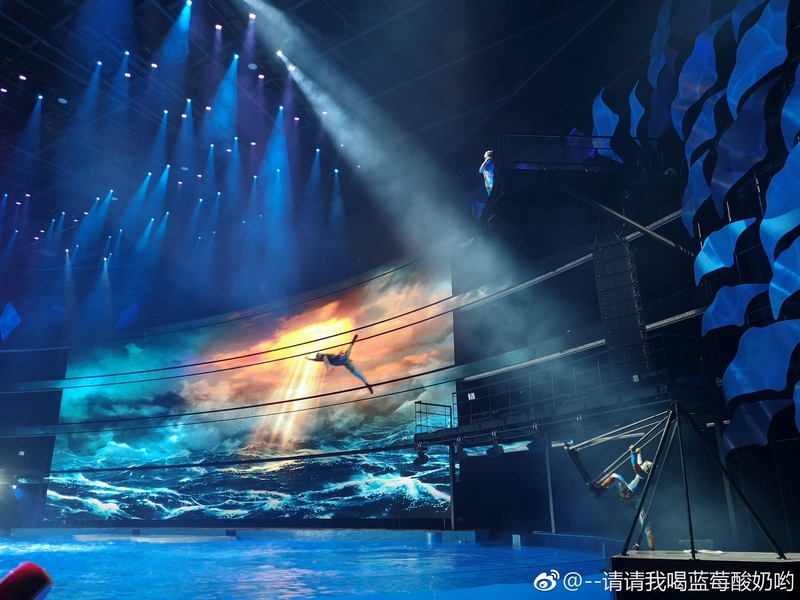 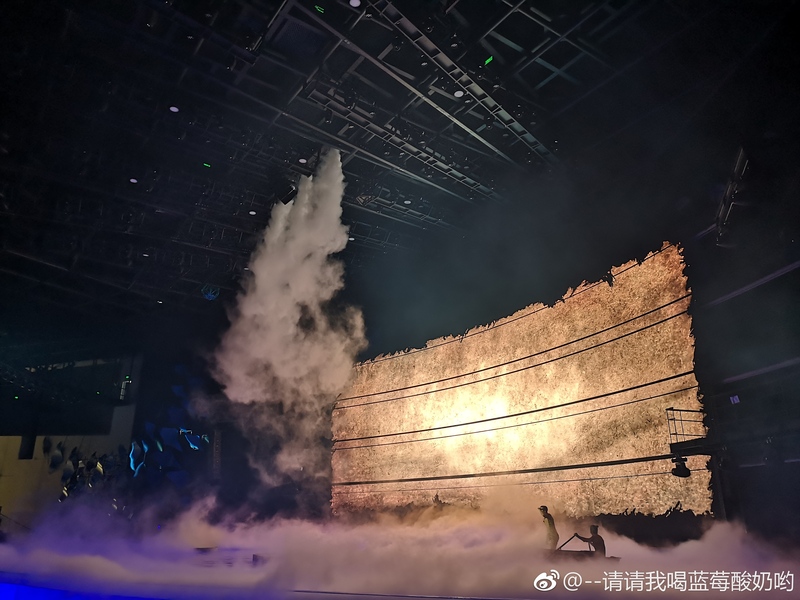 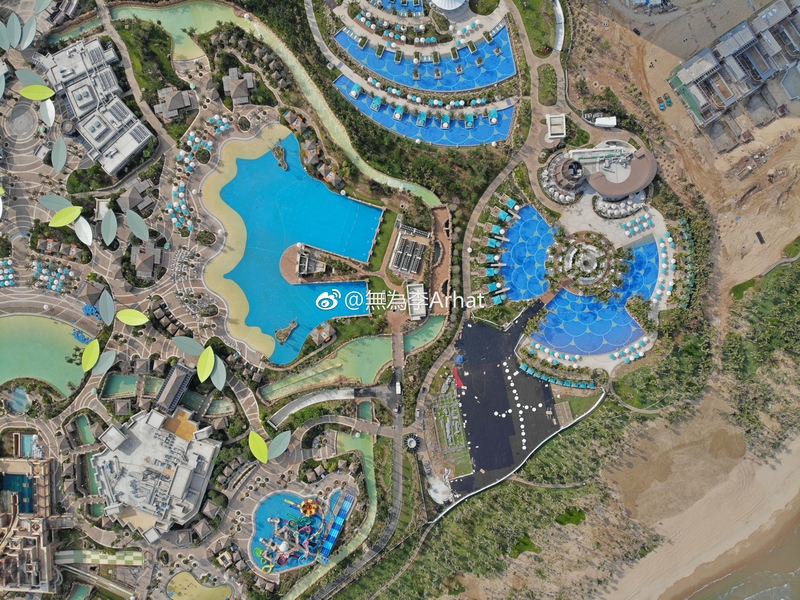 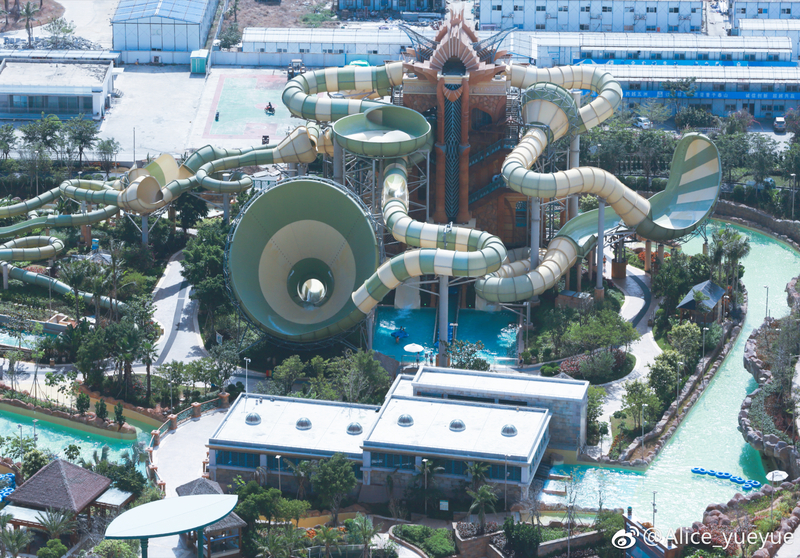 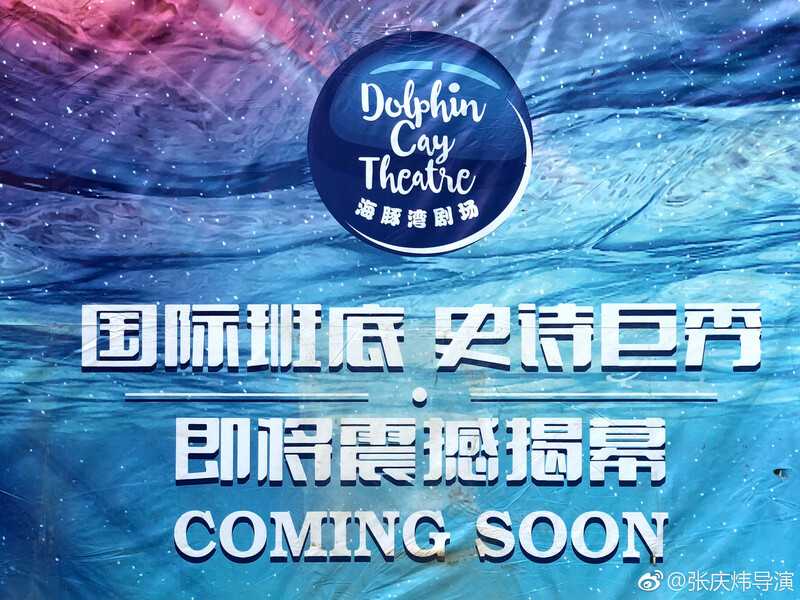 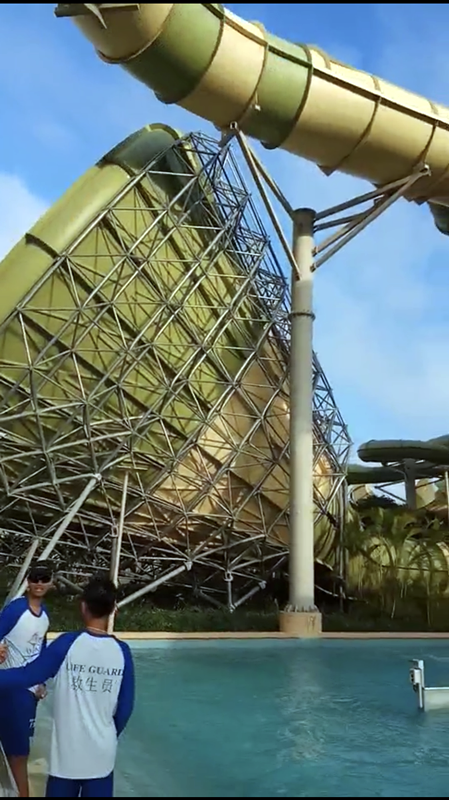 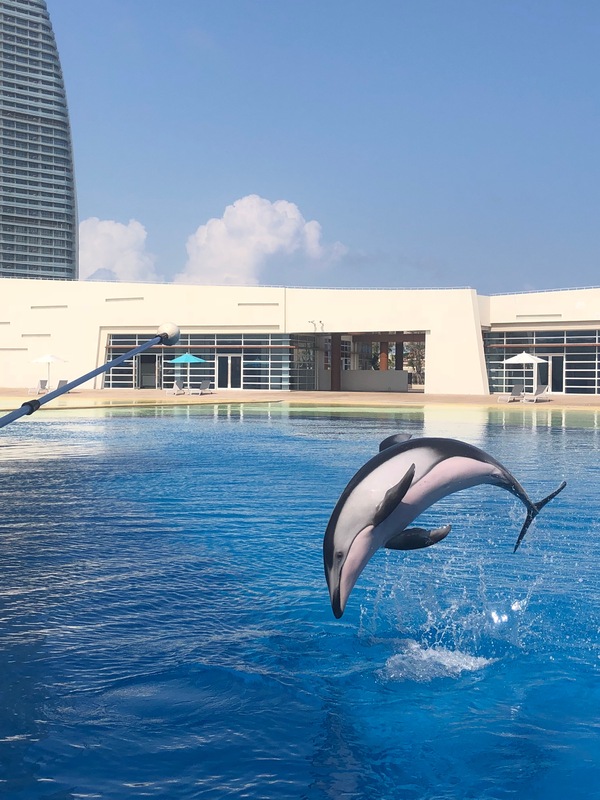 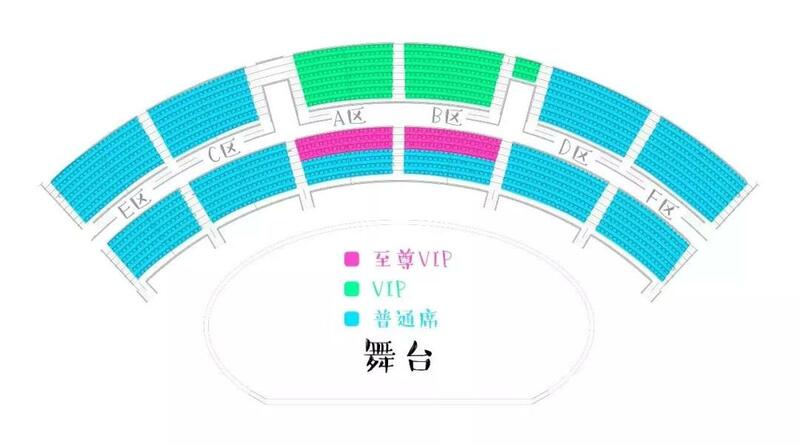 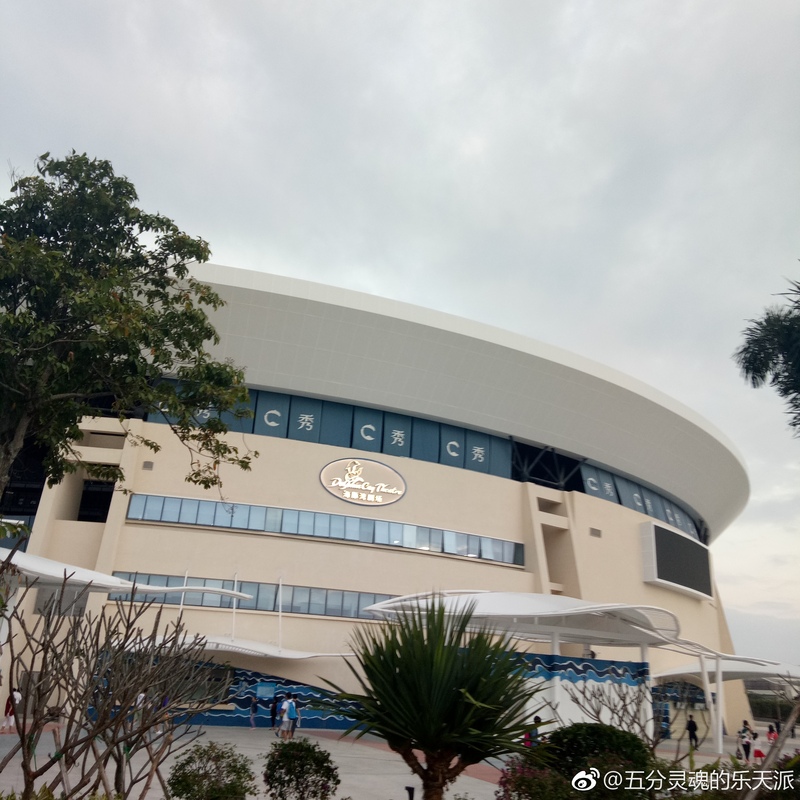 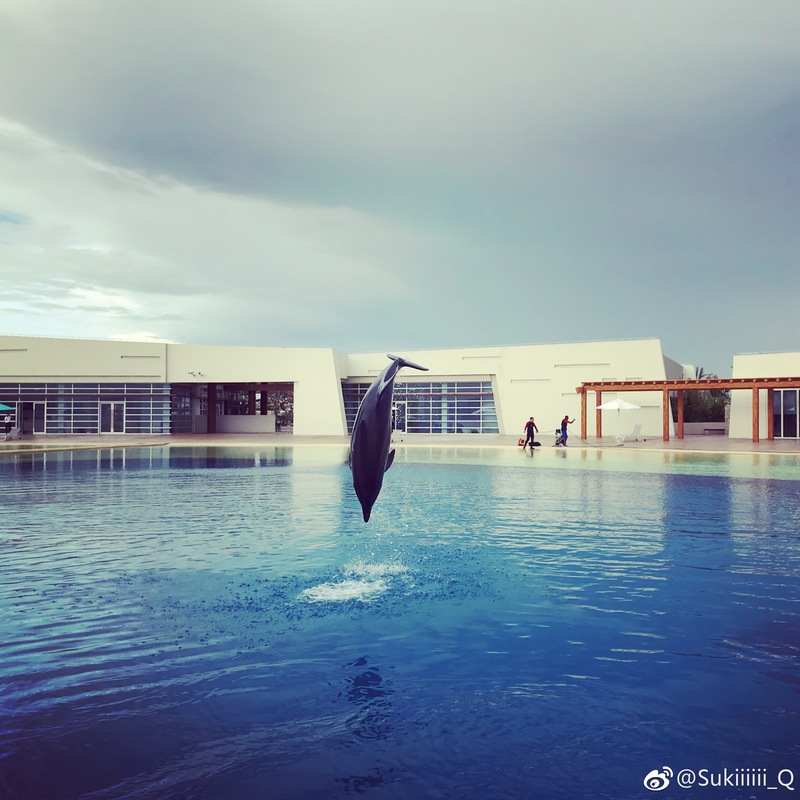 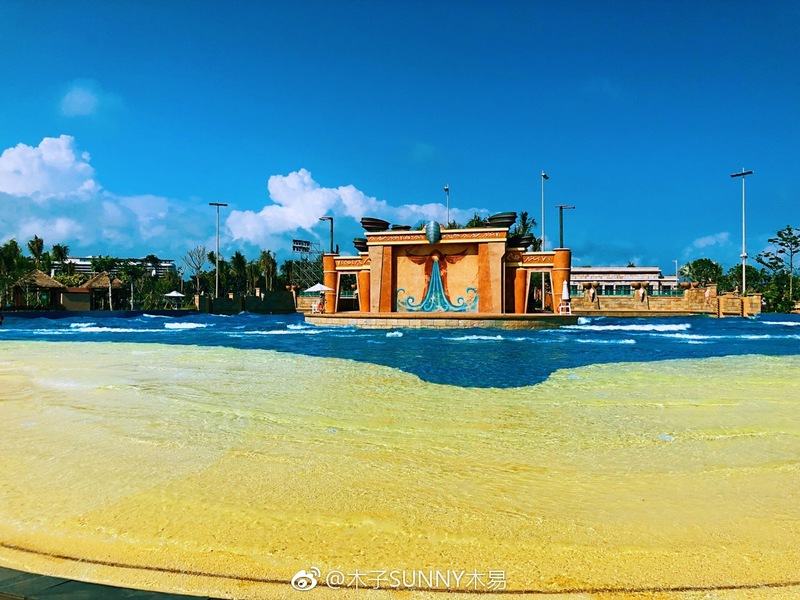 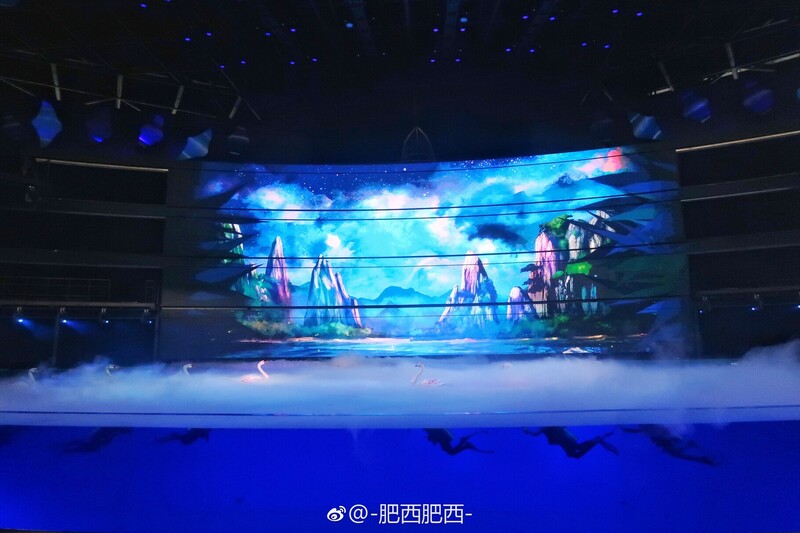 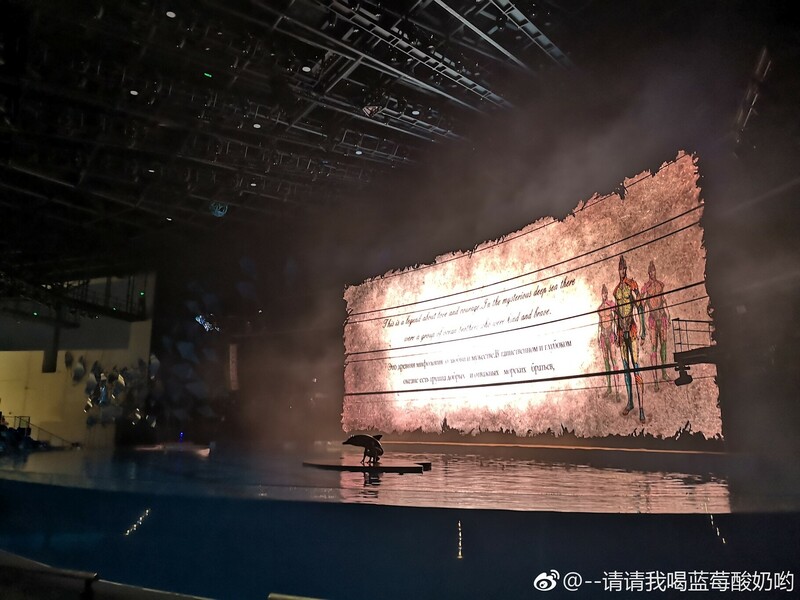 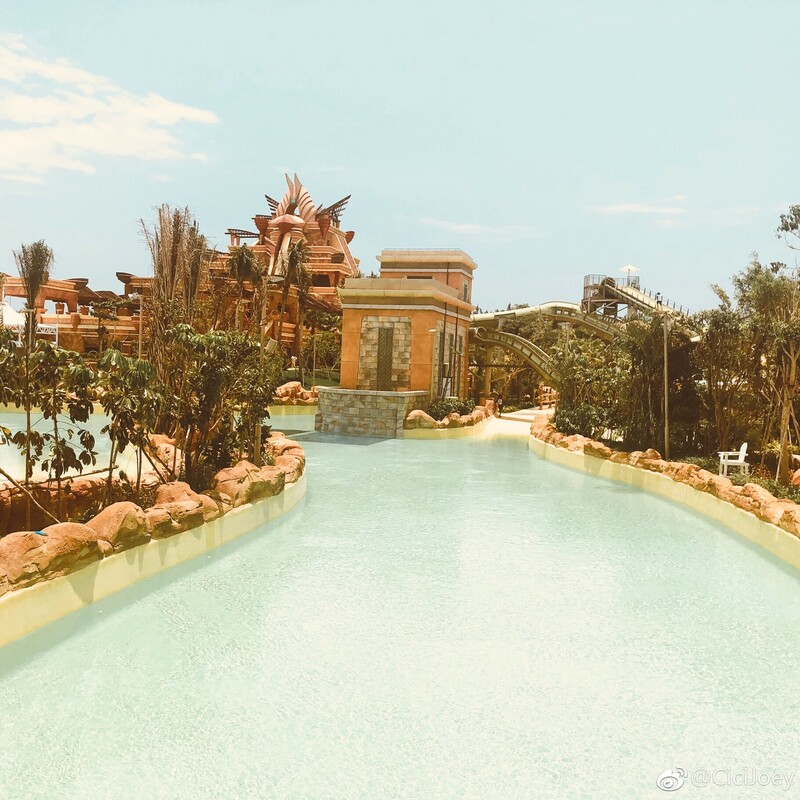 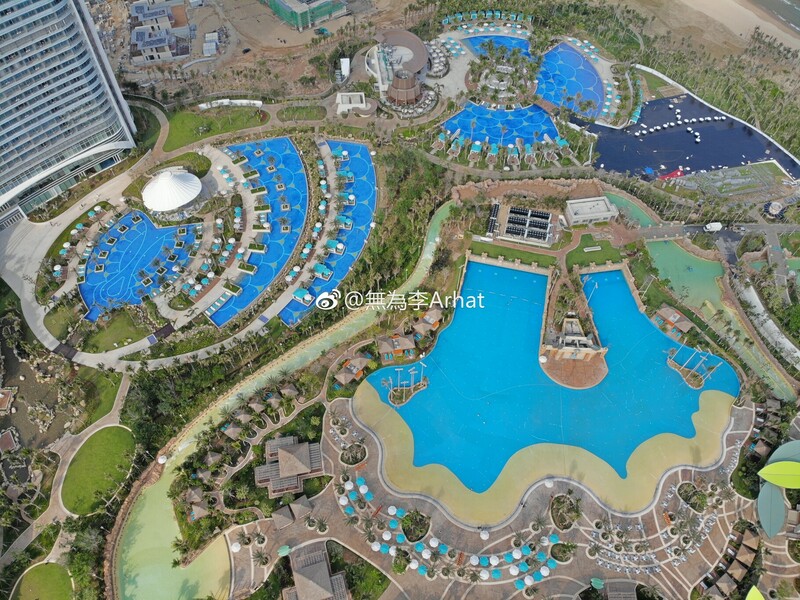 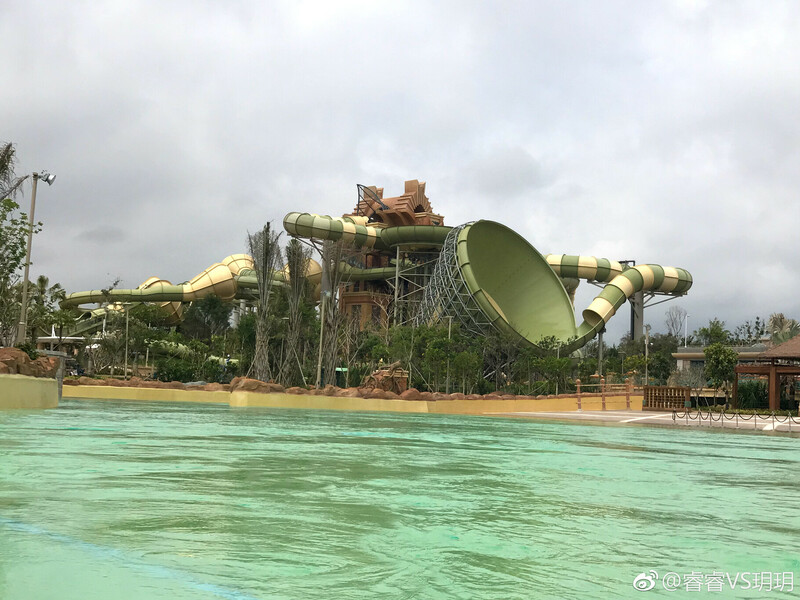 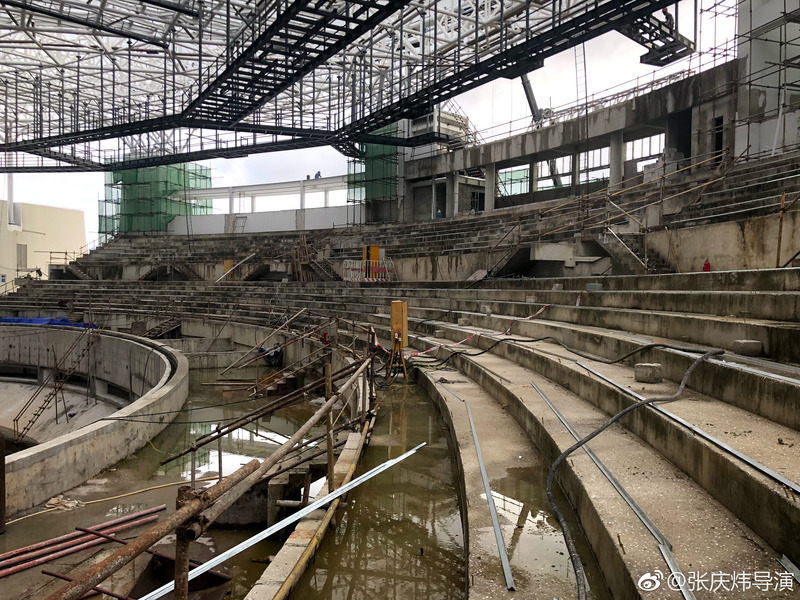 Atlantis Sanya just announced that the resort's Dolphin Cay Theatre will finally be opening with the debut of "The C" during the Spring Festival festivities on February 5, 2019! 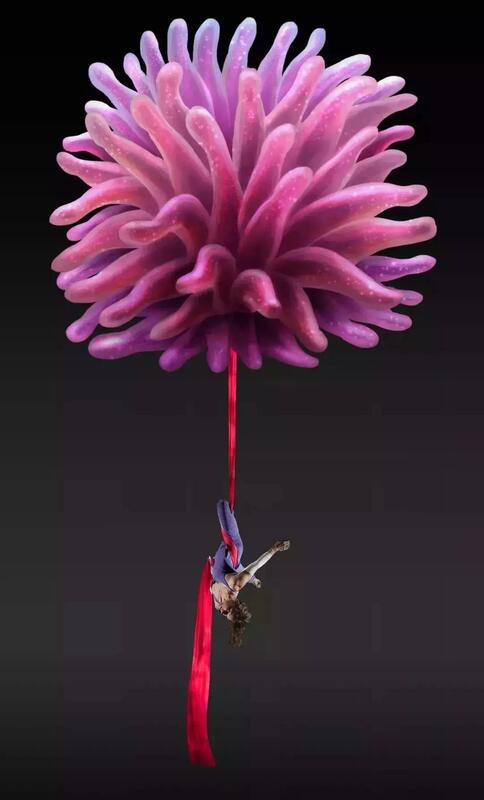 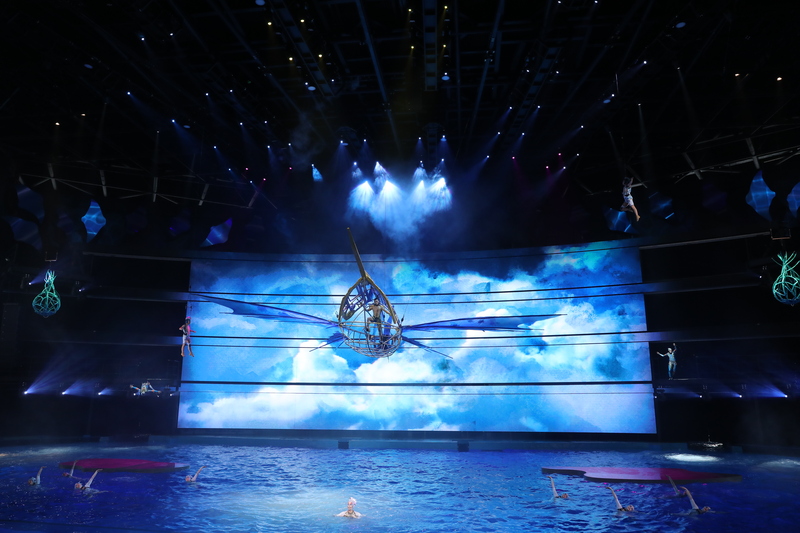 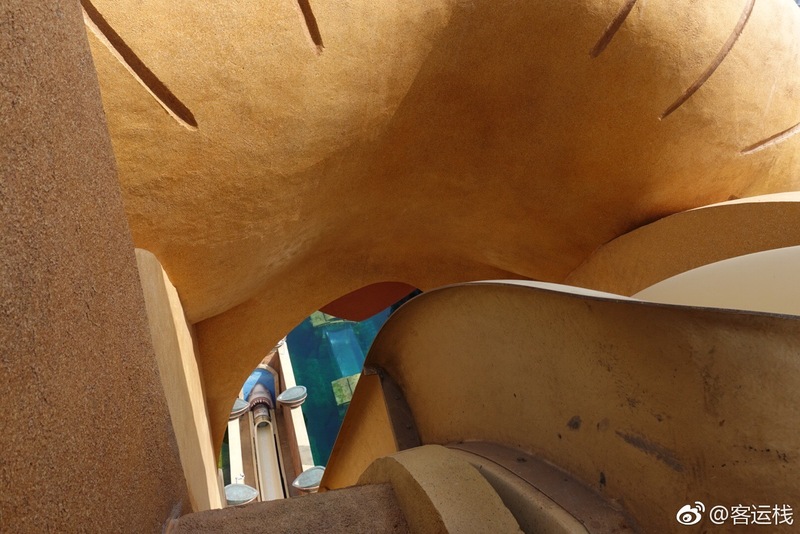 - "Composed of an international performance team, a master-level dance visual plan, a lively and interactive experience, and an unprecedentedly high-level acrobatic performance"
- Dolphin Cay Theatre is "equipped with world-class lighting, sound, video and special effects equipment"
Paraphrased translation of the show's storyline: At one time, Atlas, the son of the ocean, saved Nadia, the forest princess who was cursed by the sea monster and turned into a swan. 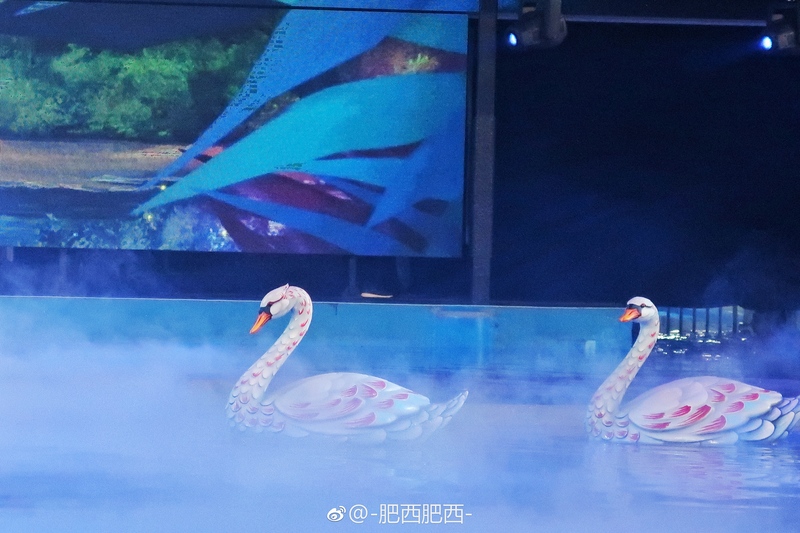 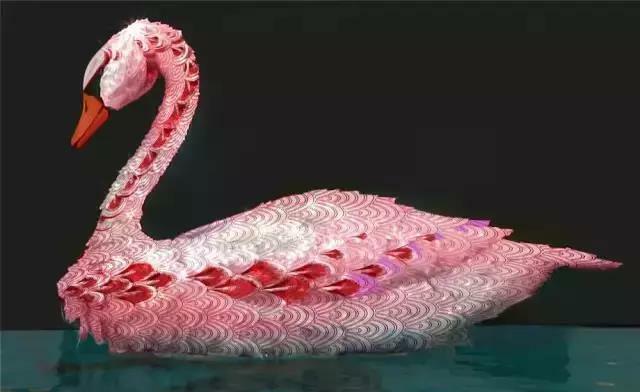 The two fell in love. 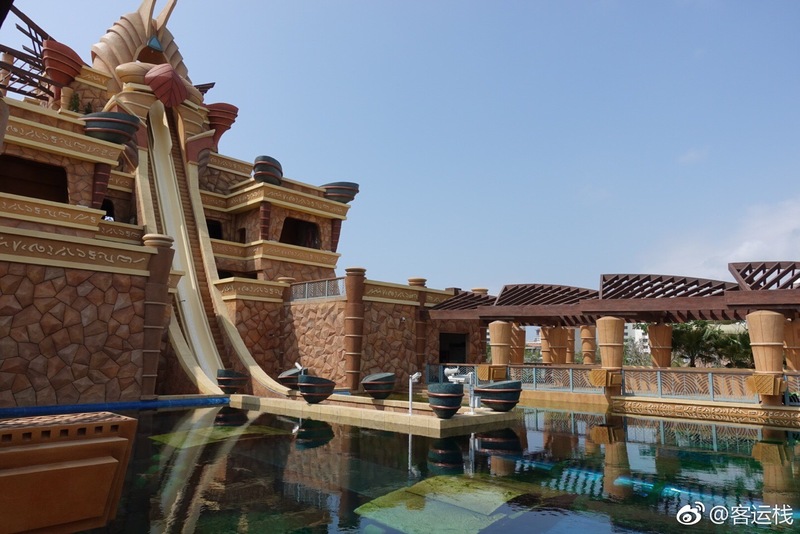 However, the evil sea monster cast a curse and left with Nadia. 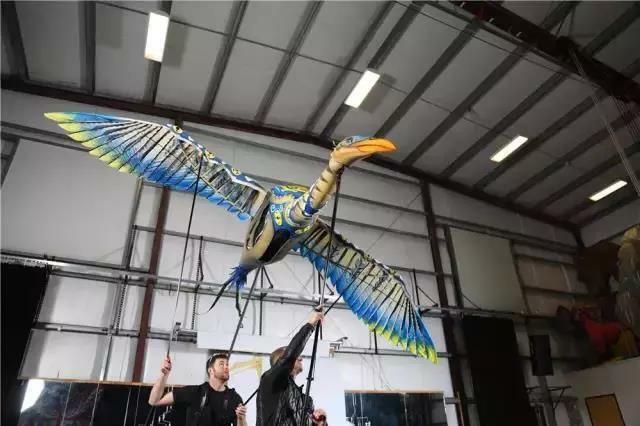 With the help of his companions and various animal partners, Atlas embarks on a journey to find love. 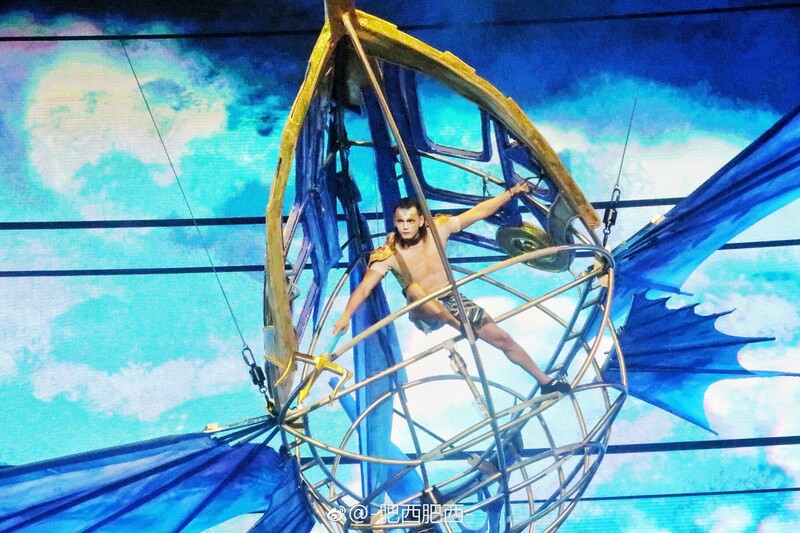 After many obstacles, can Atlas win over and save Nadia? 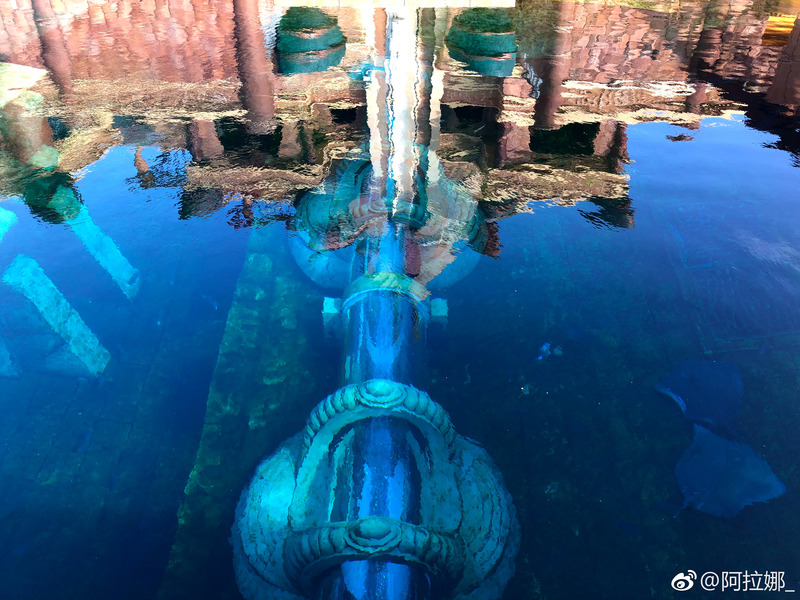 What has happened in the mysterious Atlantis world? 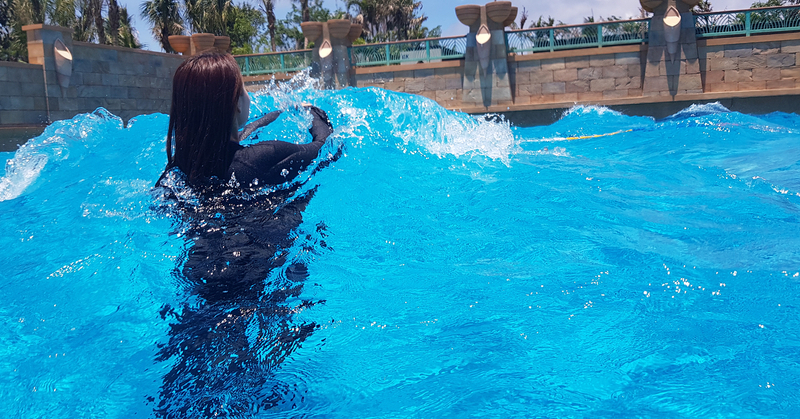 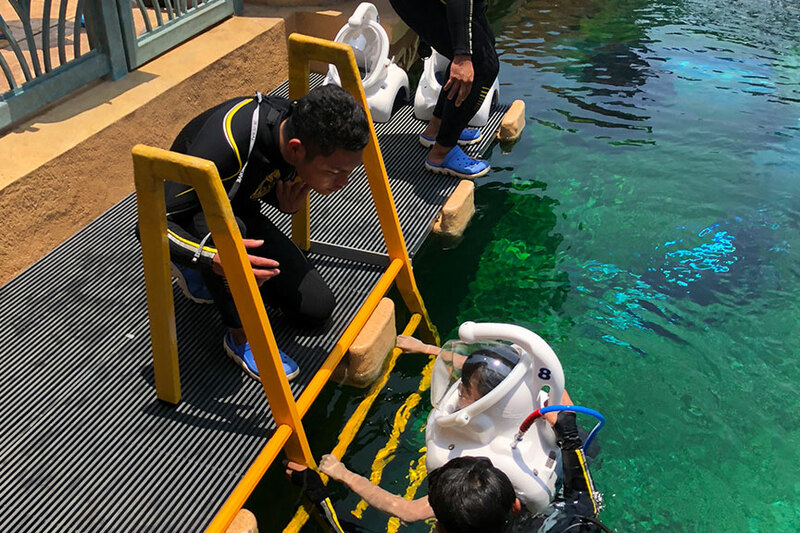 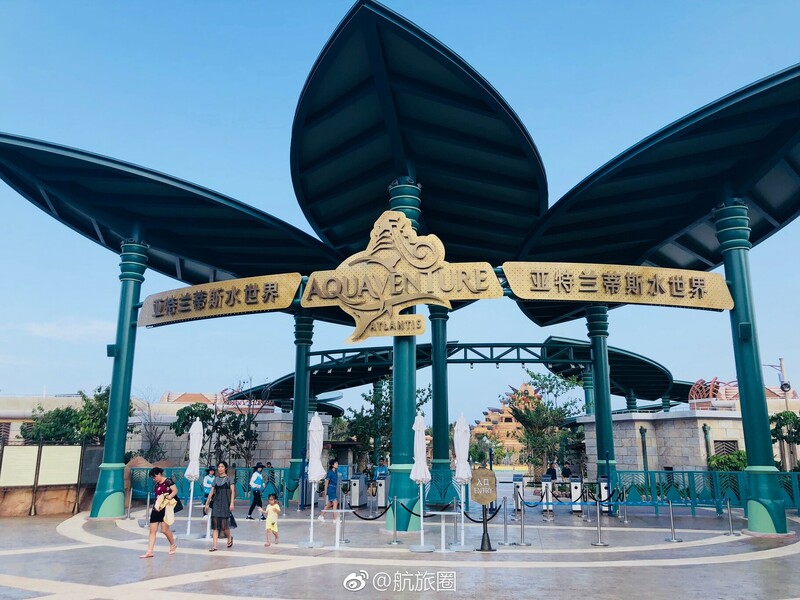 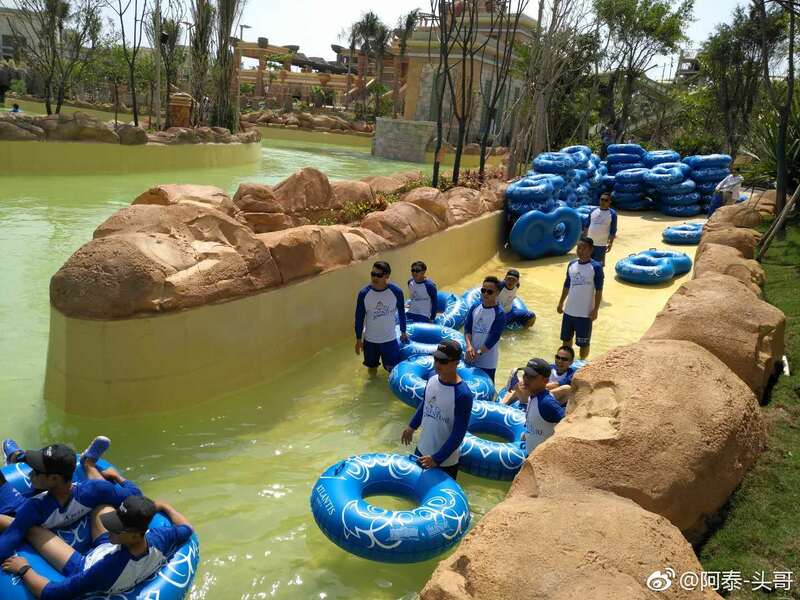 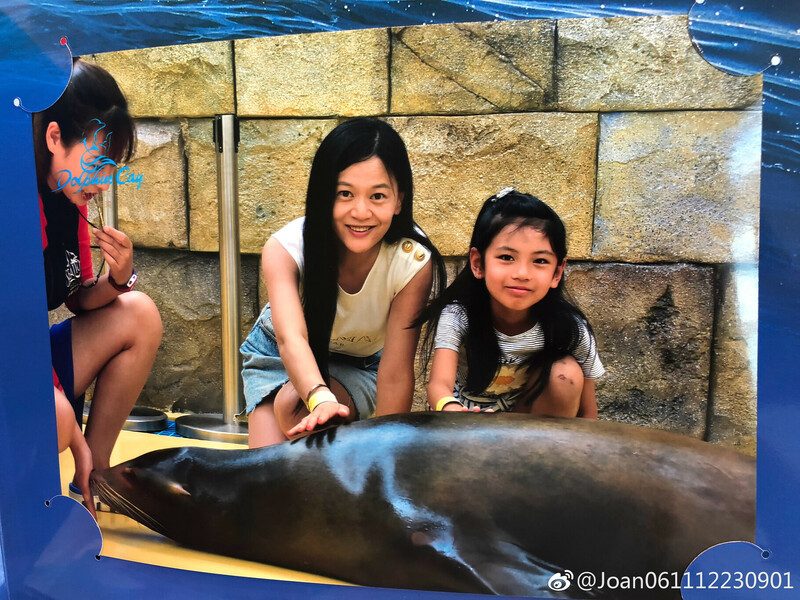 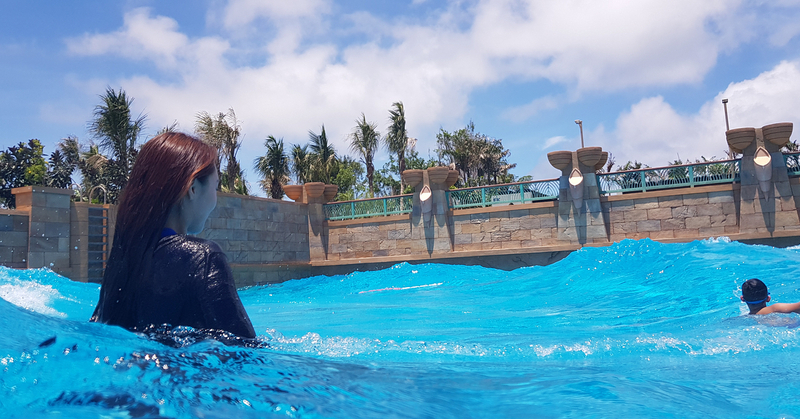 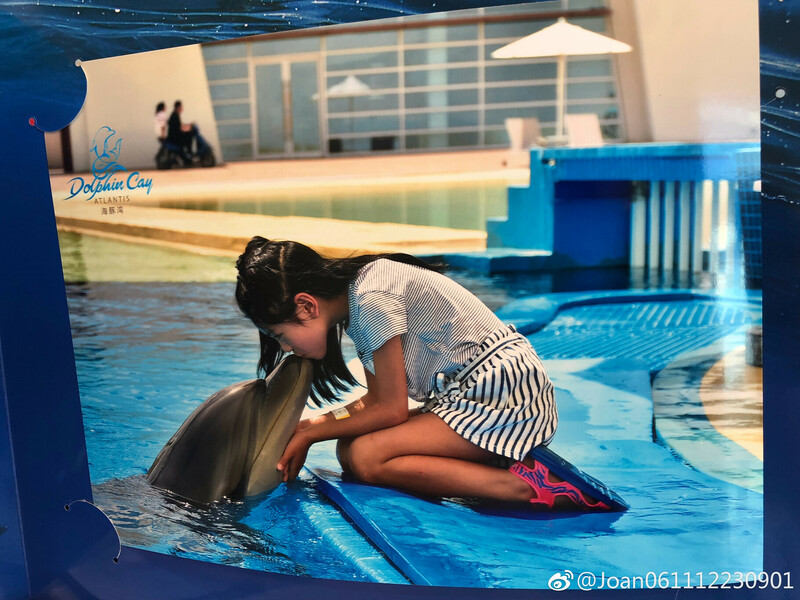 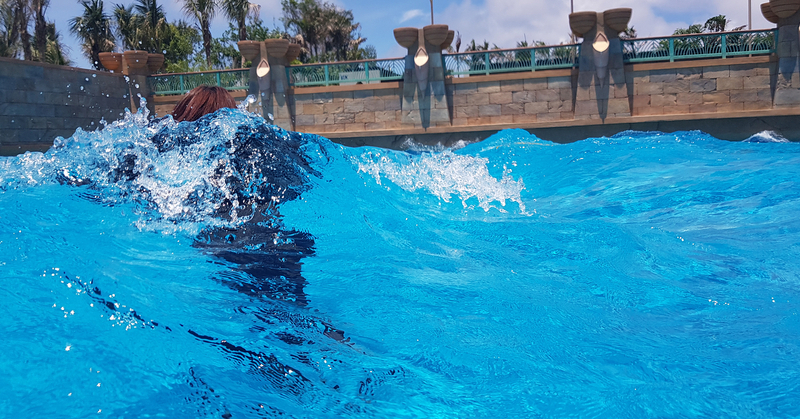 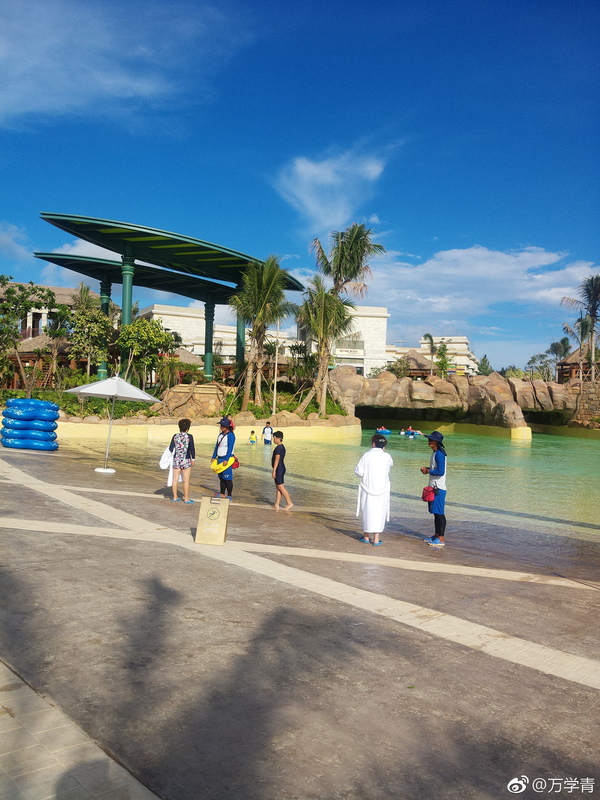 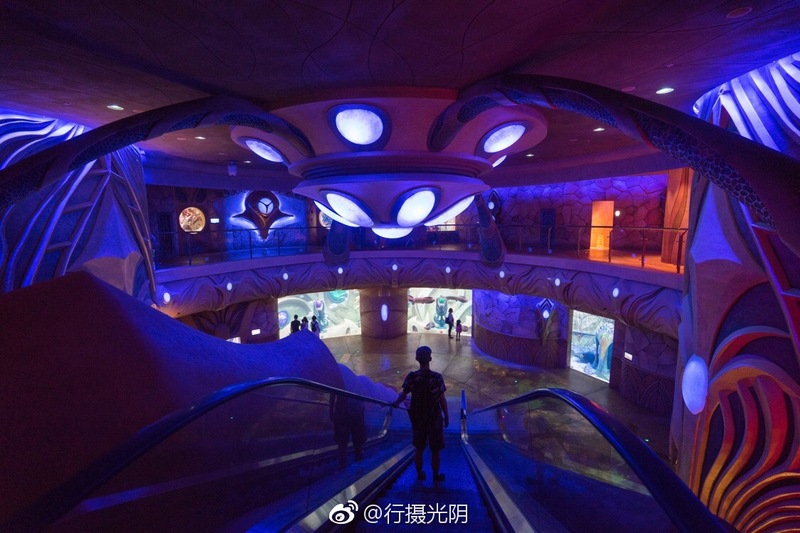 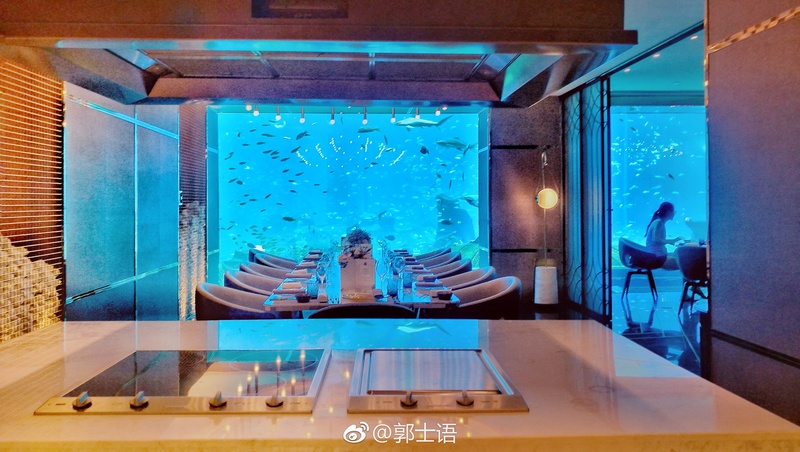 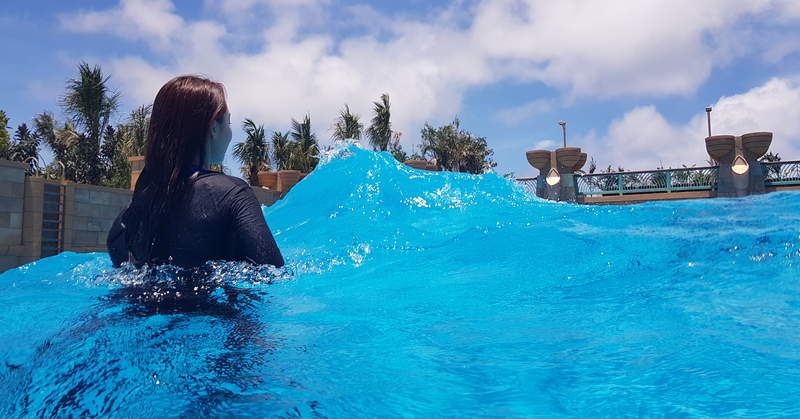 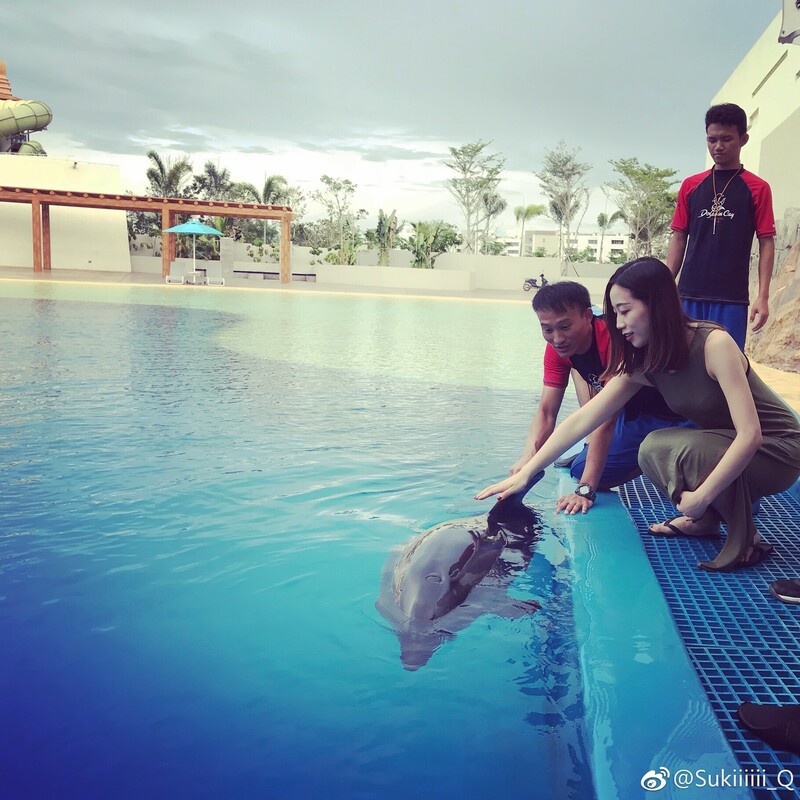 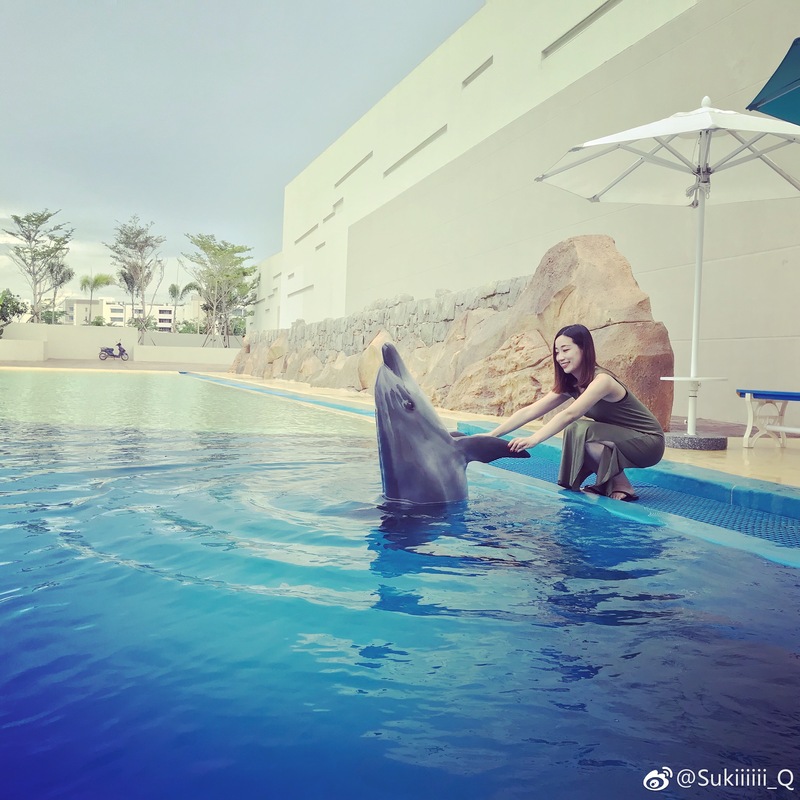 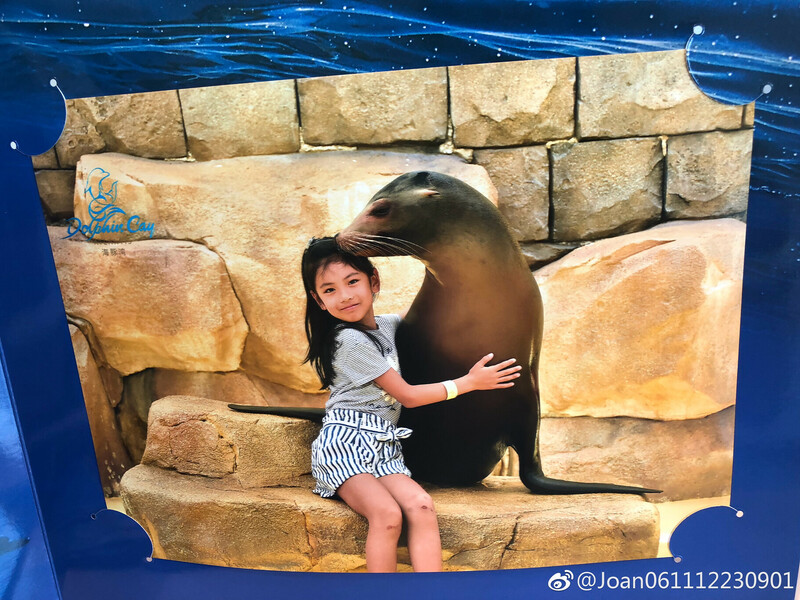 Installation of Sea TREK, a guided underwater walking tour designed for non-swimmers and guests to experience the thrill of helmet diving face-to-face with marine life, began recently at Atlantis Sanya's The Lost Chambers Aquarium. 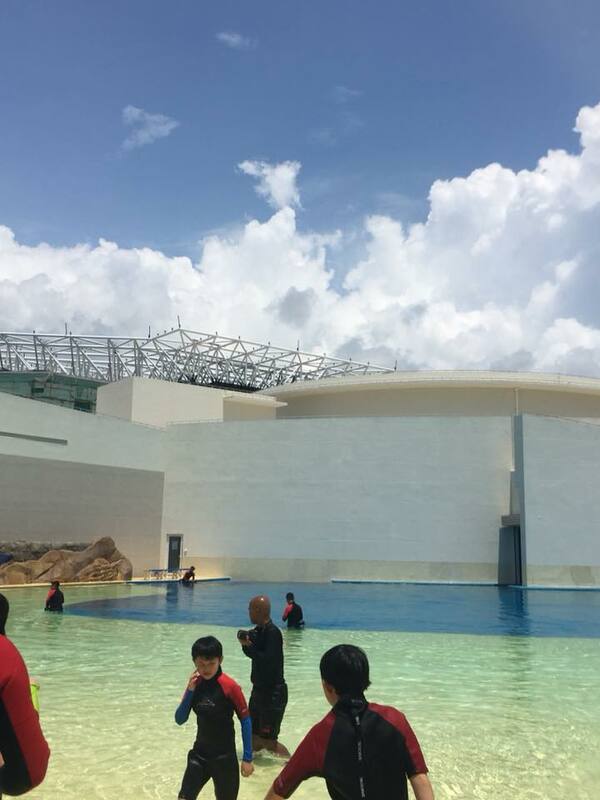  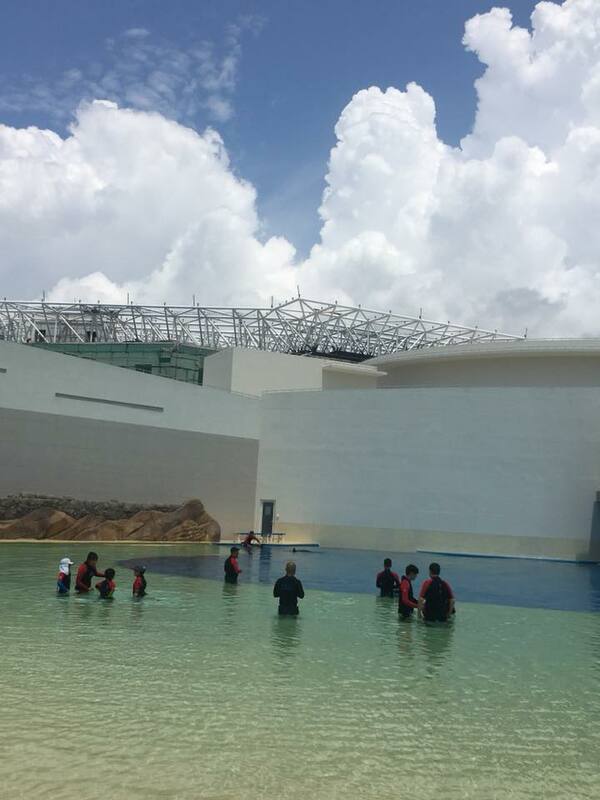 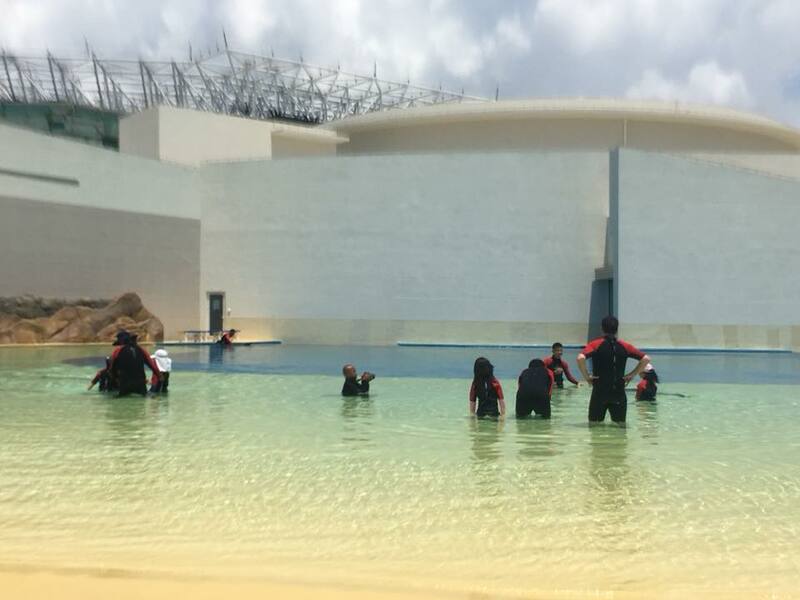 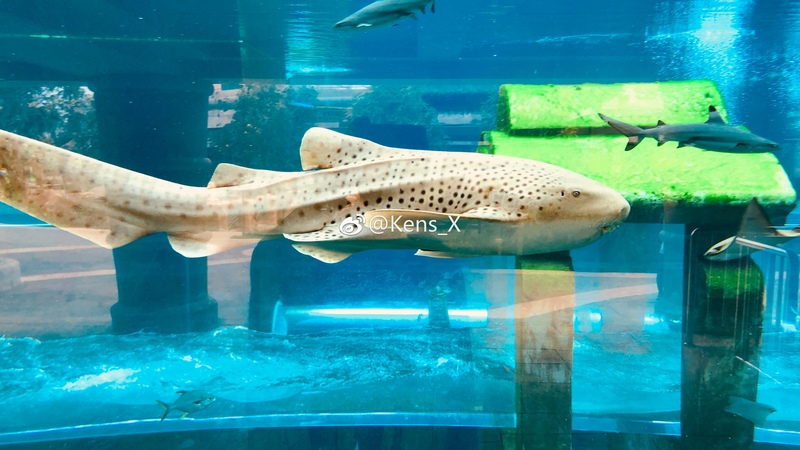 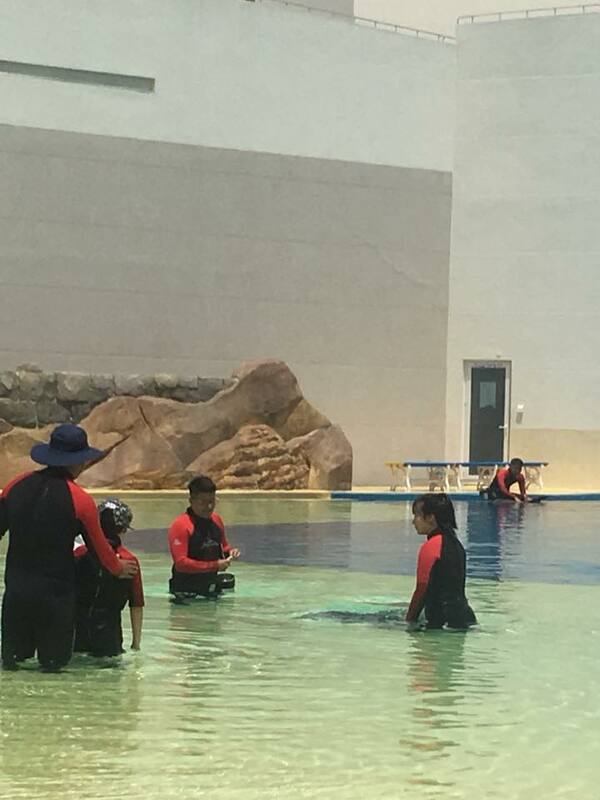 Sea TREK will take place in the aquarium's main tank which features sharks, stingrays and various other species of fish. 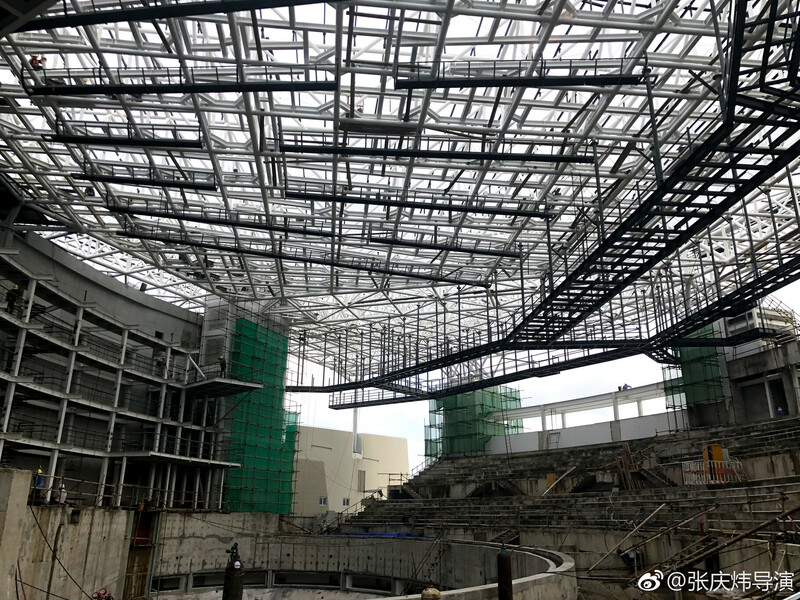 The experience will open in the coming months. 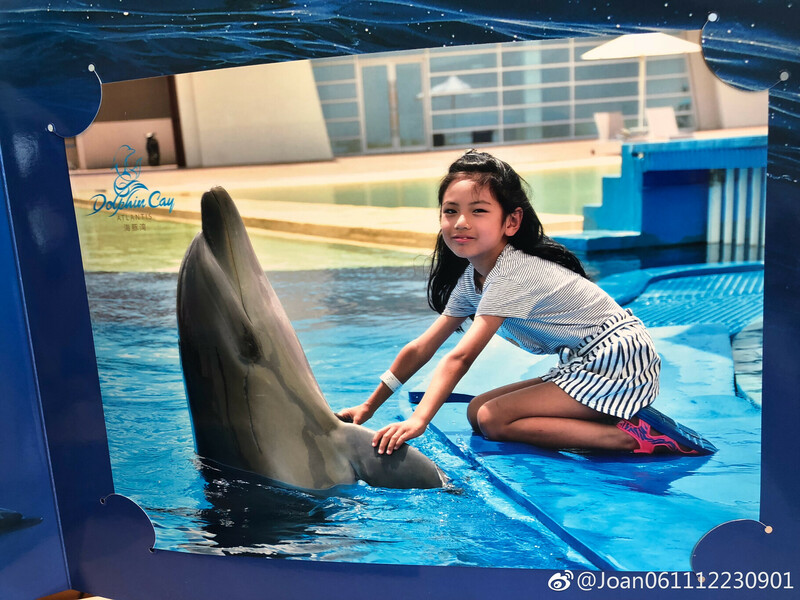 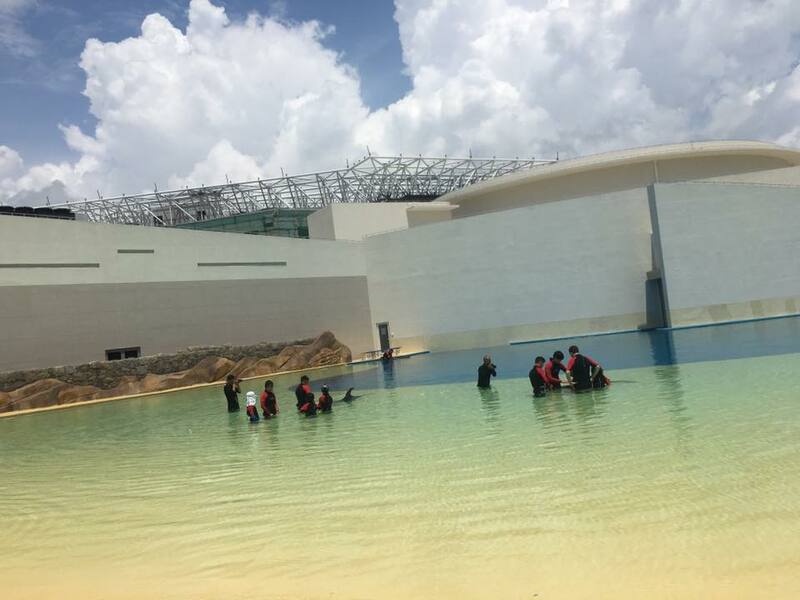 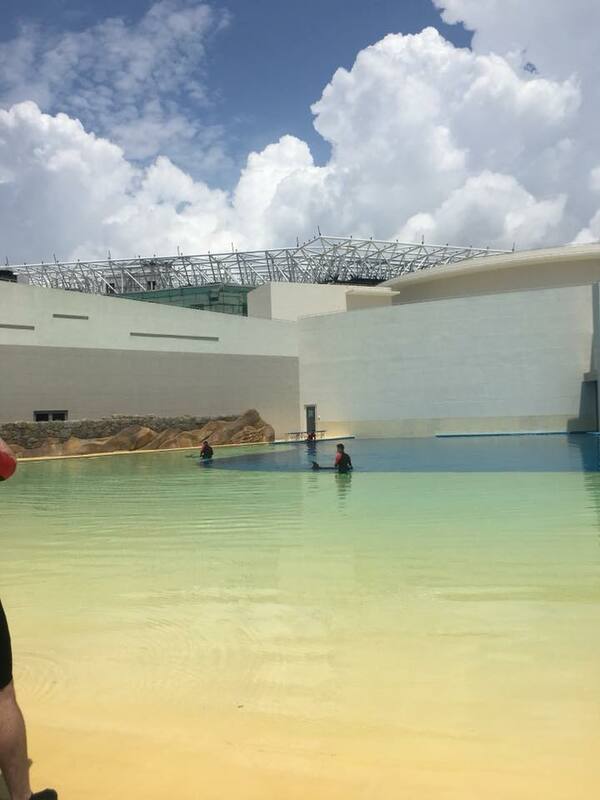 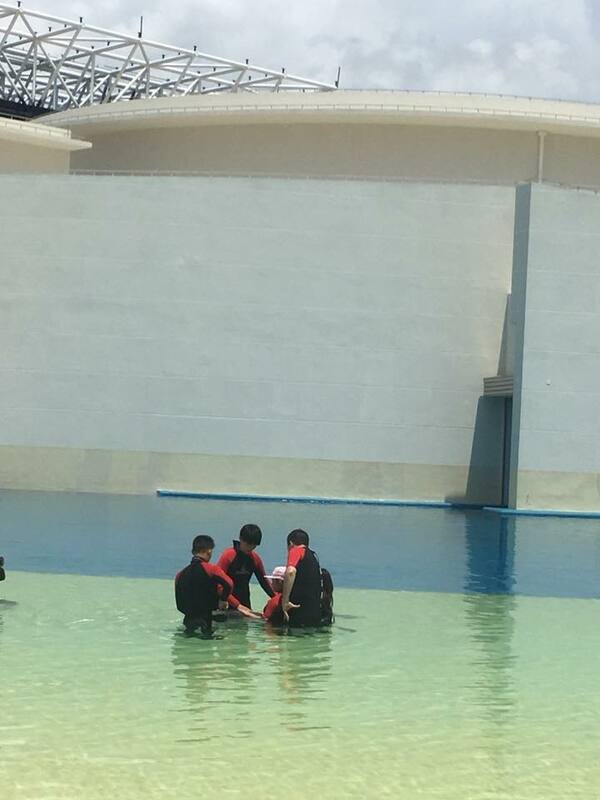 First photos of dolphin interactions taking place at Dolphin Cay which has still yet to officially open. 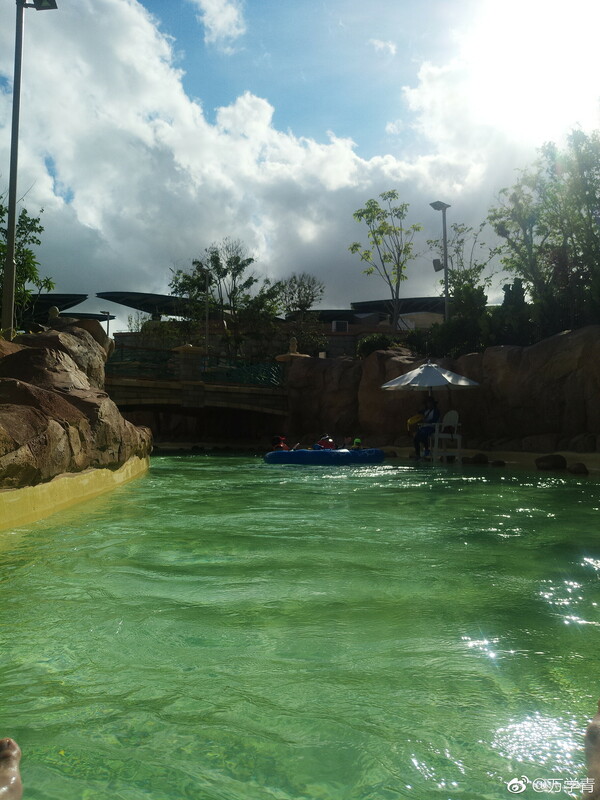 The photos are from a little over a week ago. 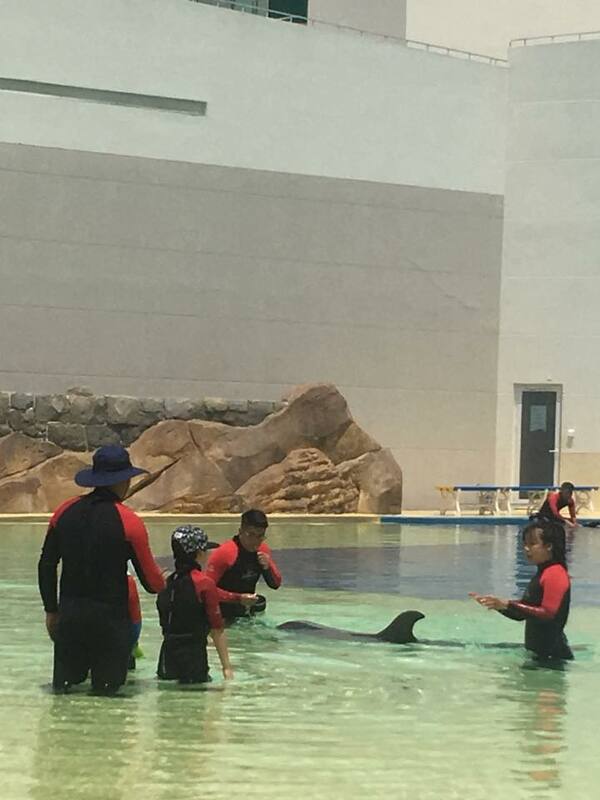 Pictured are three of the resort's six bottlenose dolphins (they also have four pacific white sided dolphins). 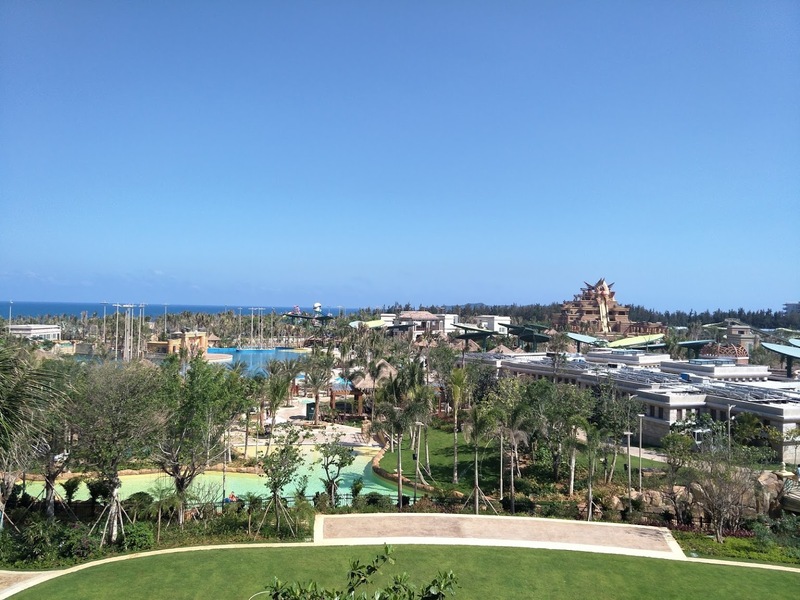 Note that construction is taking place on Dolphin Cay Theatre, which is pictured in the background. 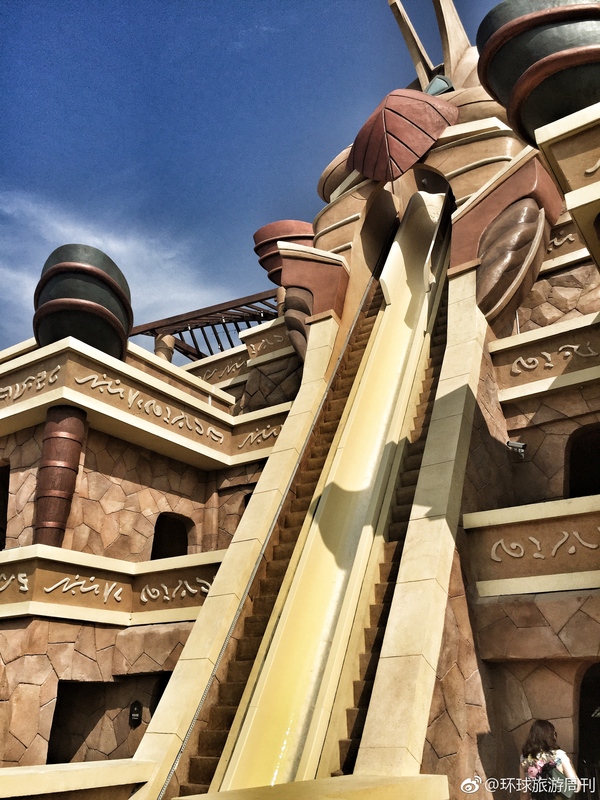 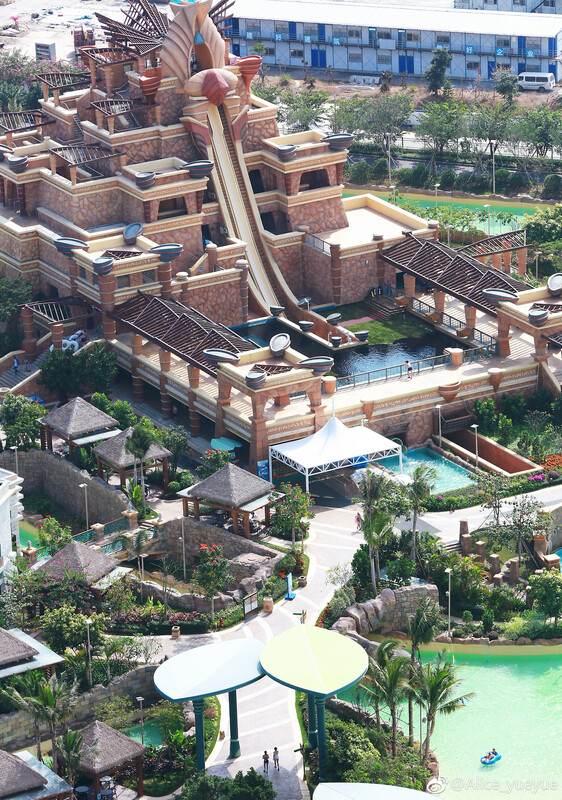 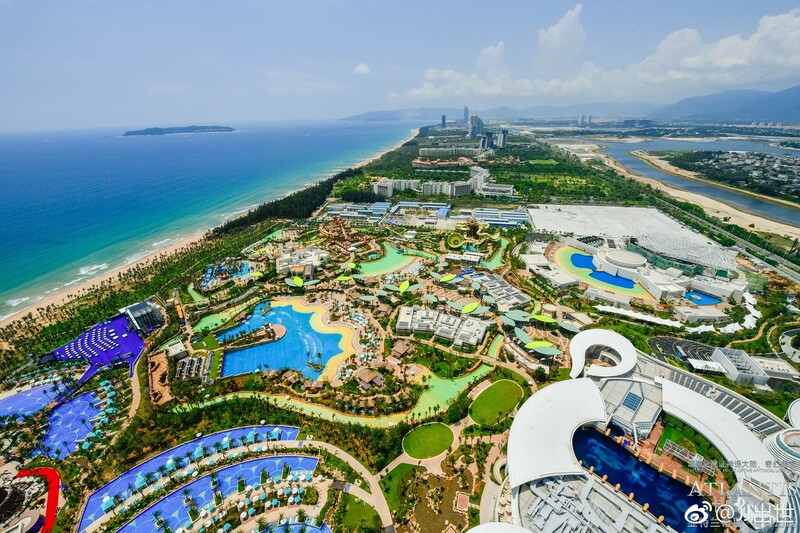 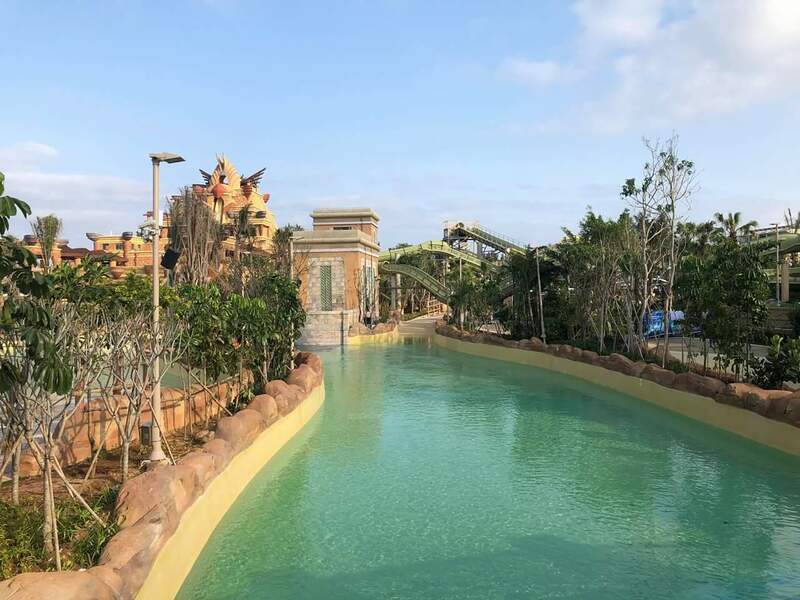 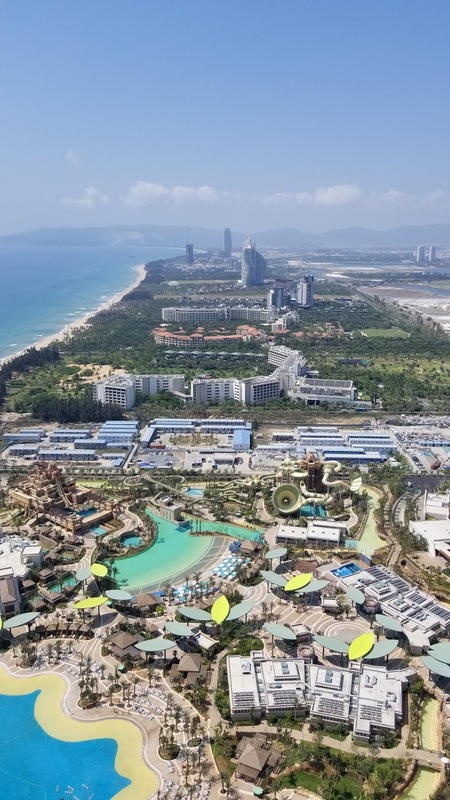 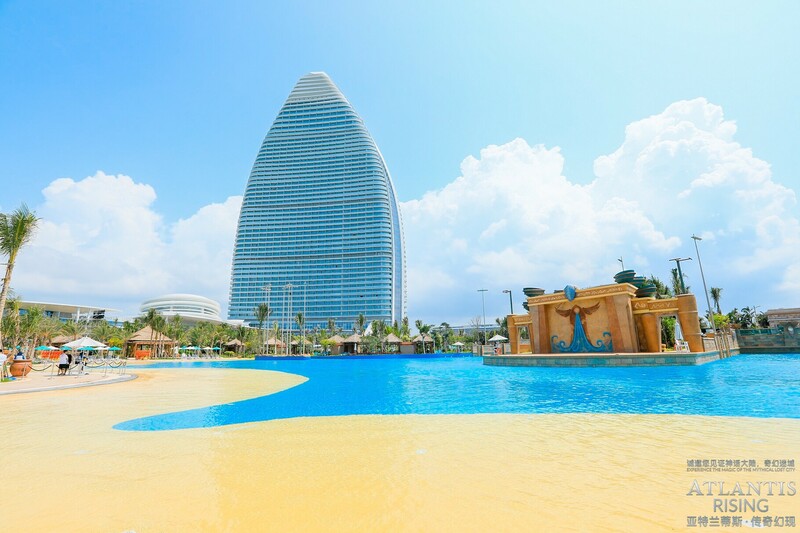 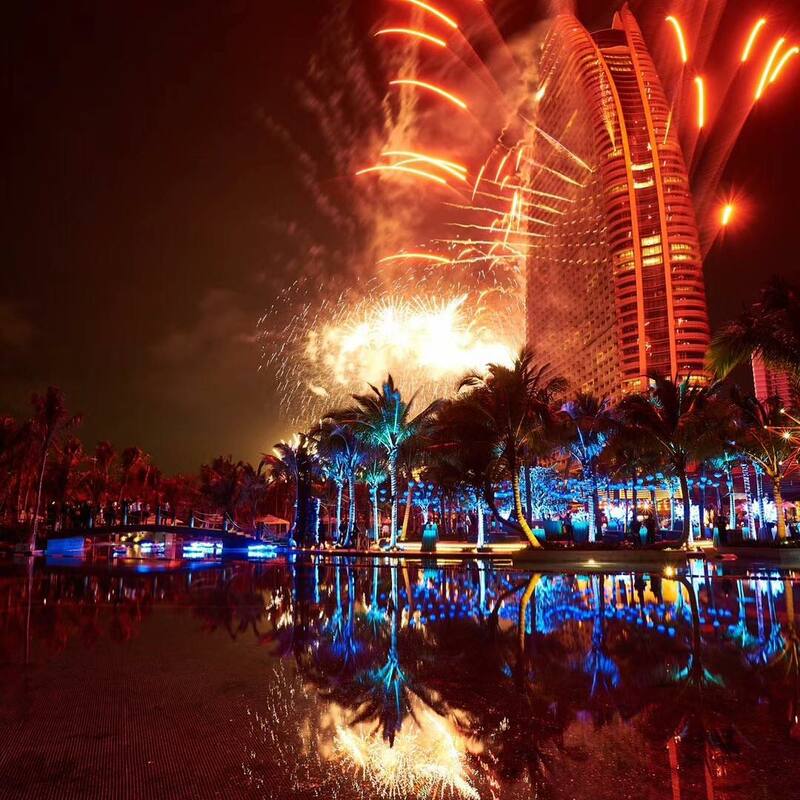 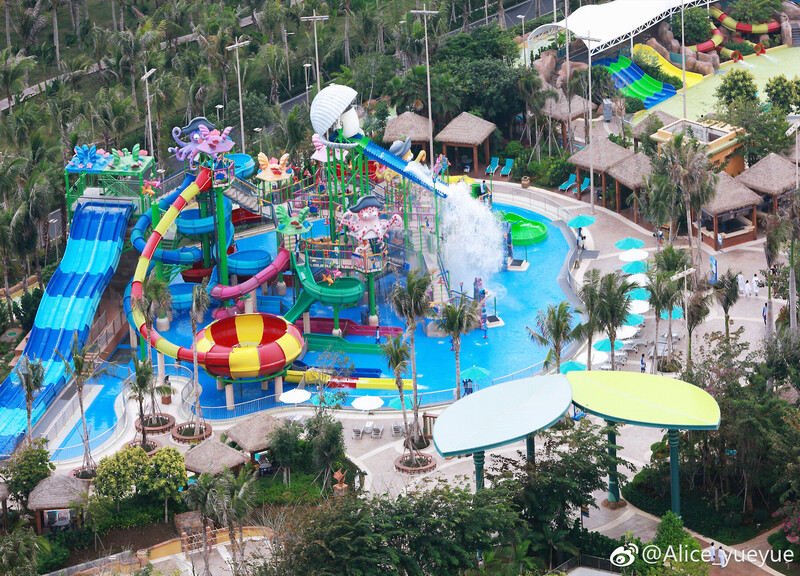 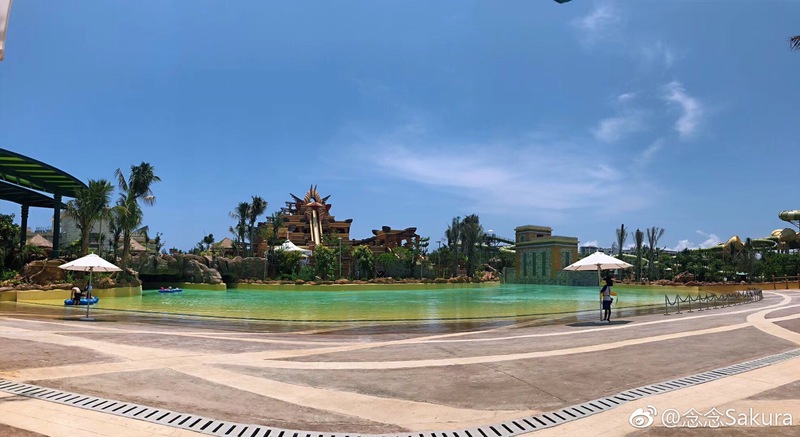 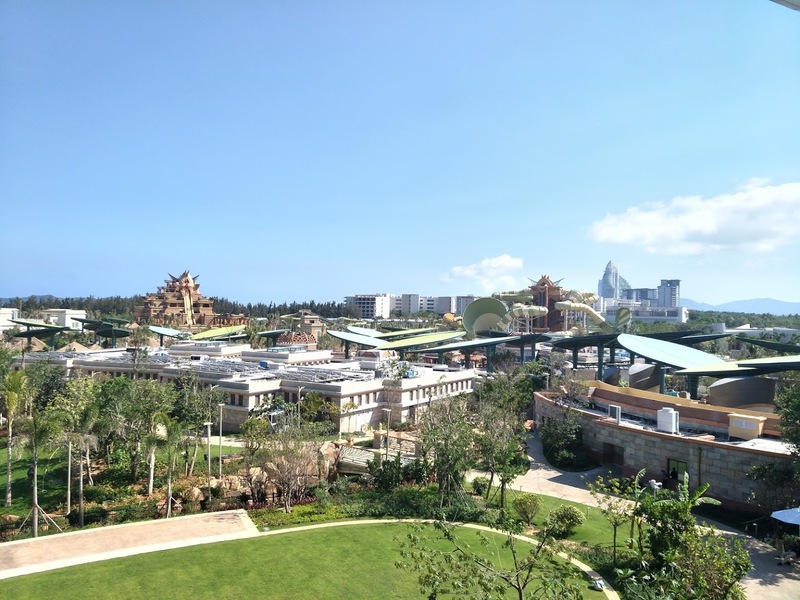 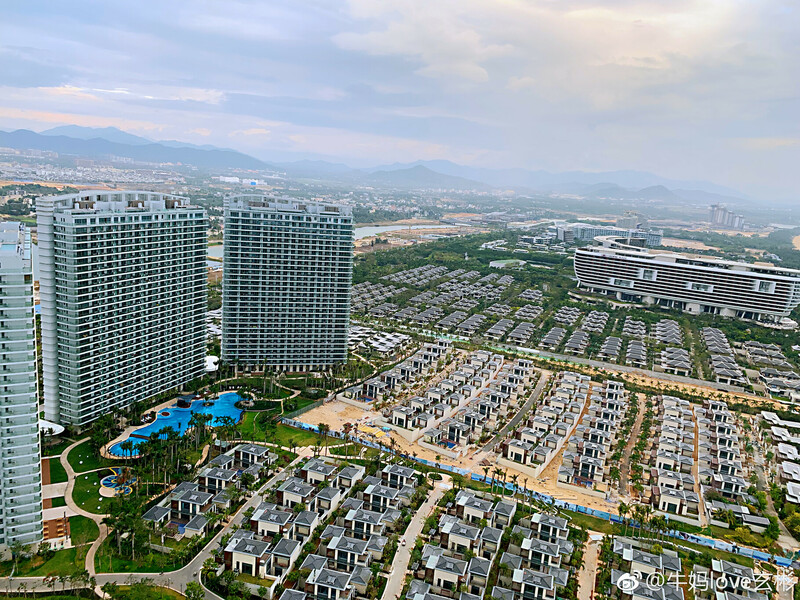 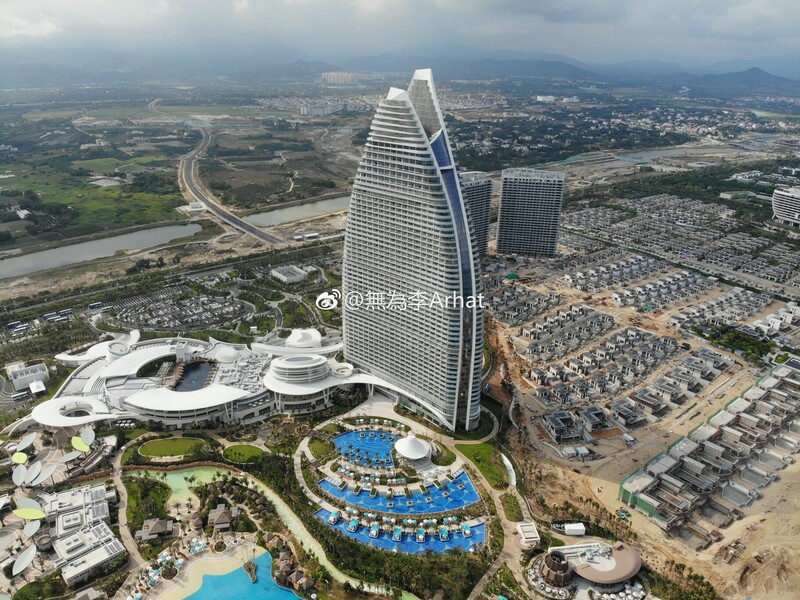 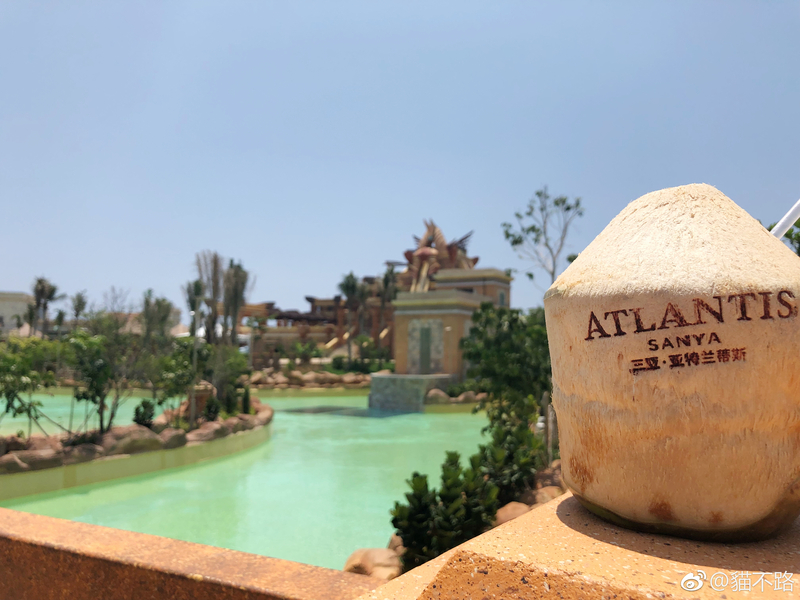 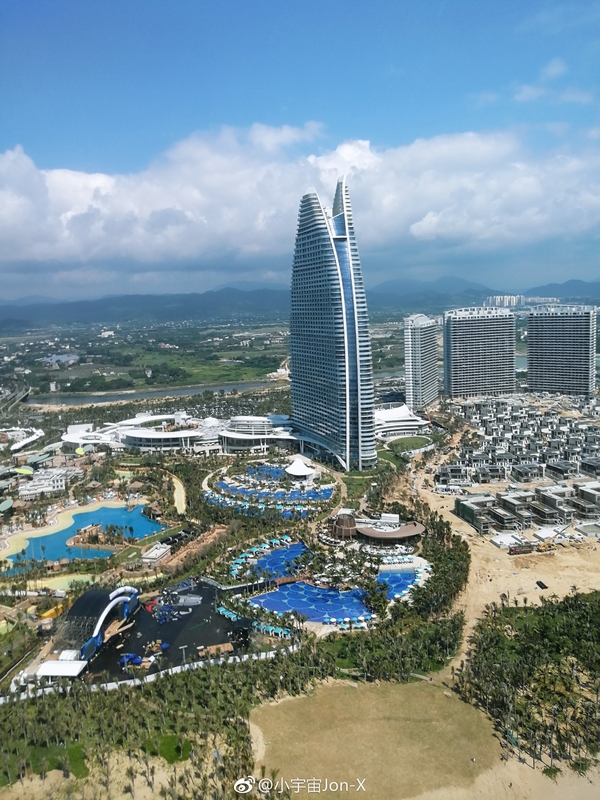 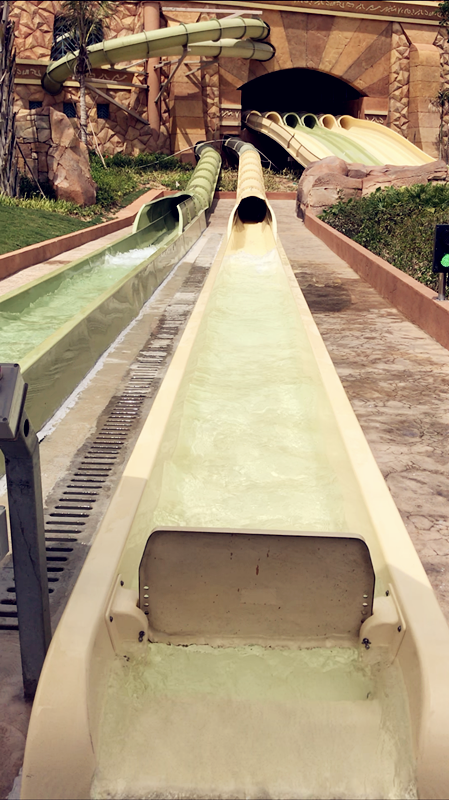 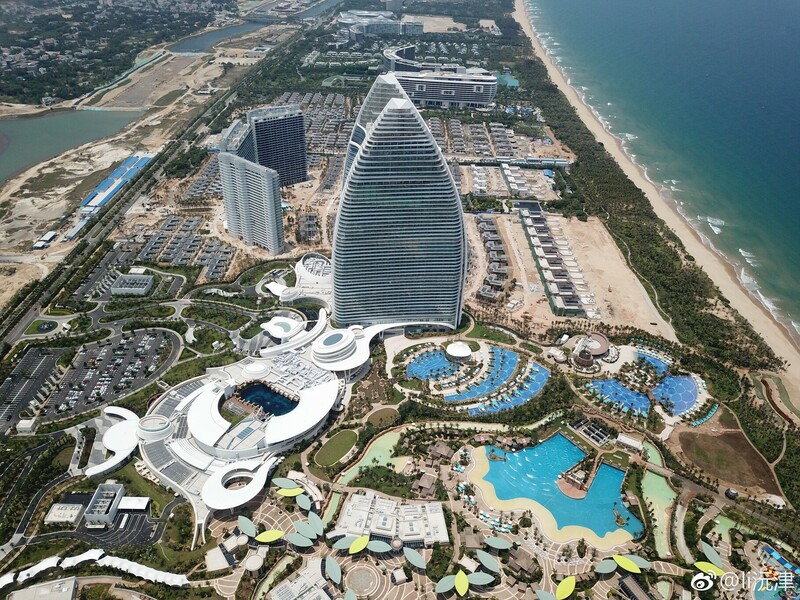 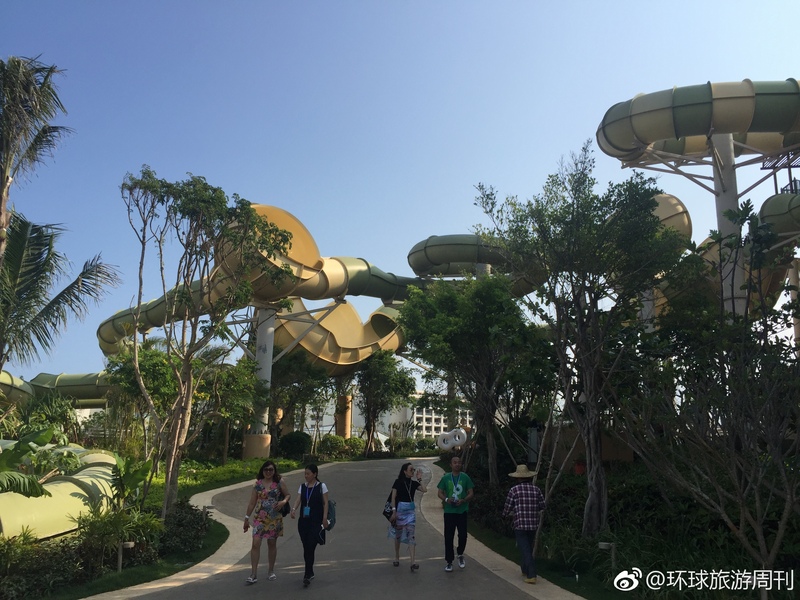 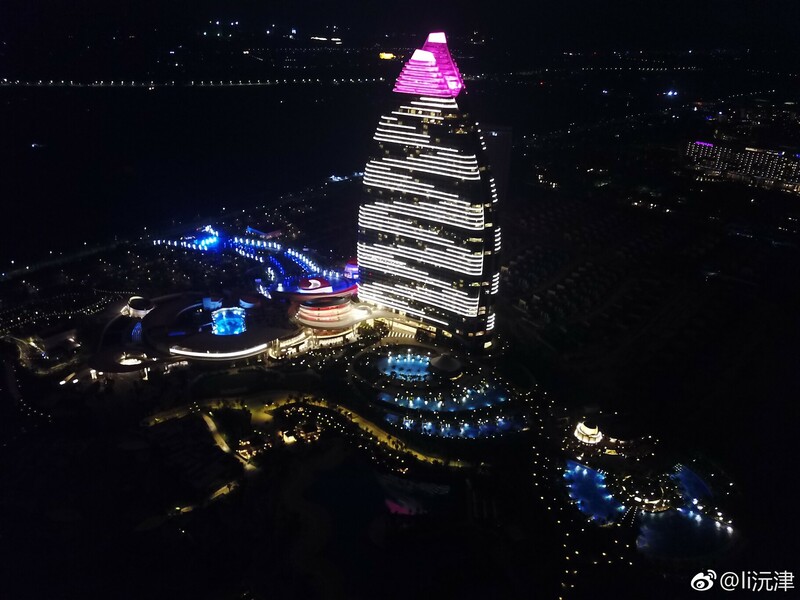 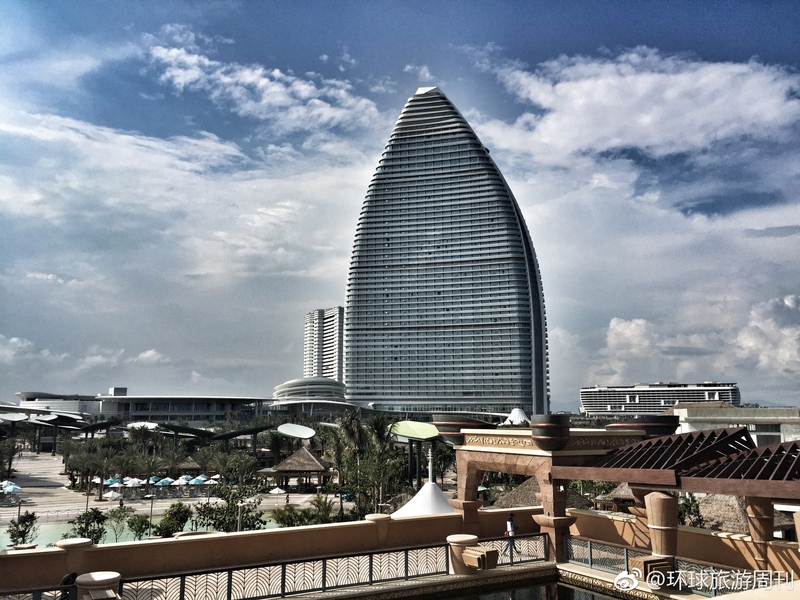 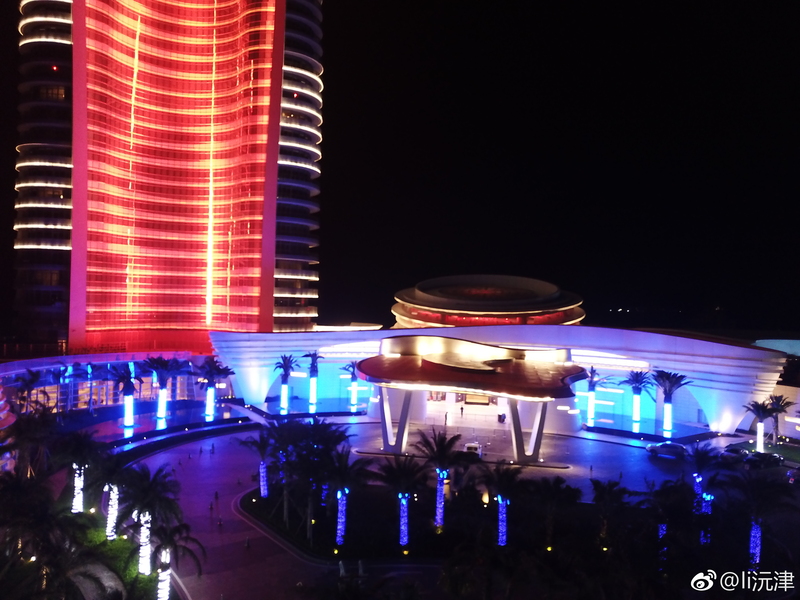 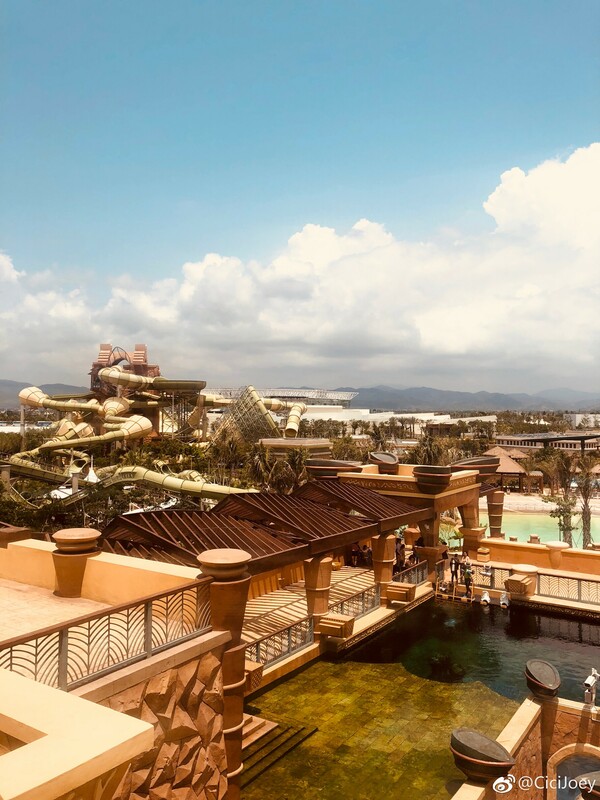 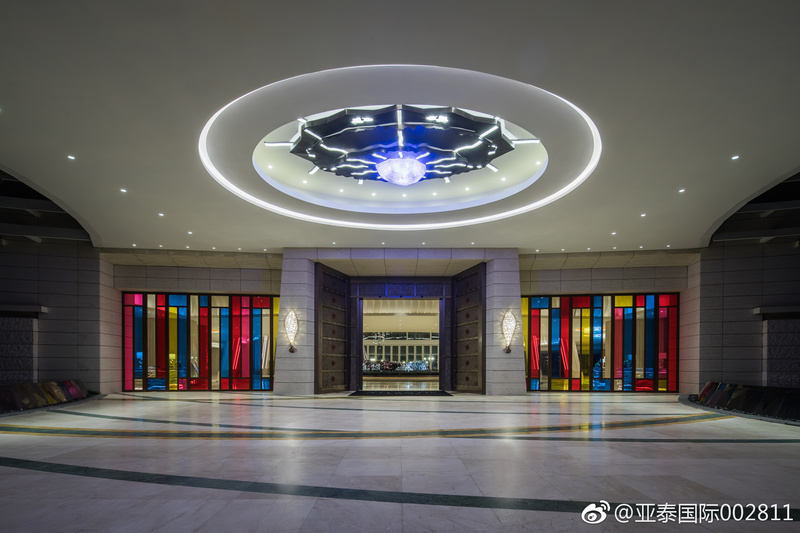 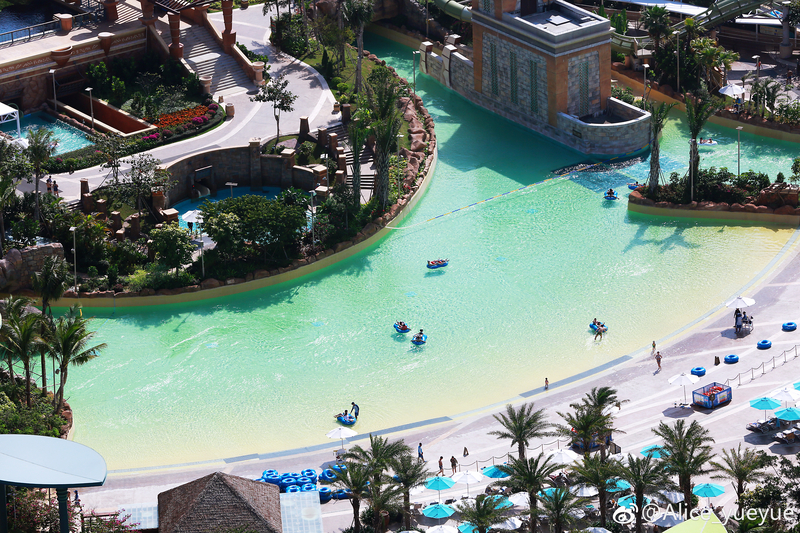 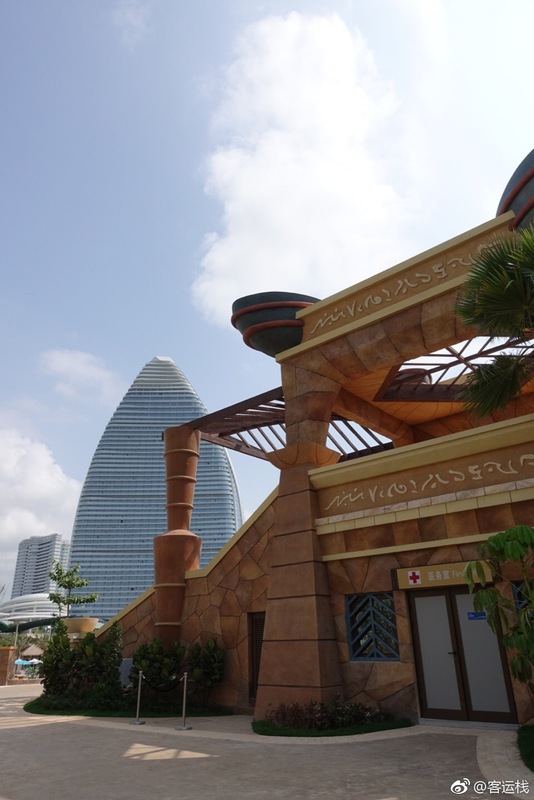 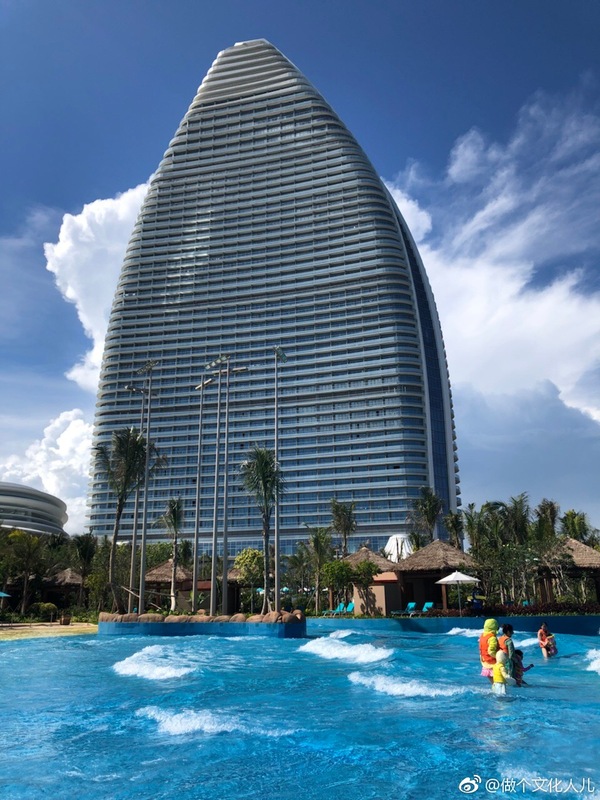 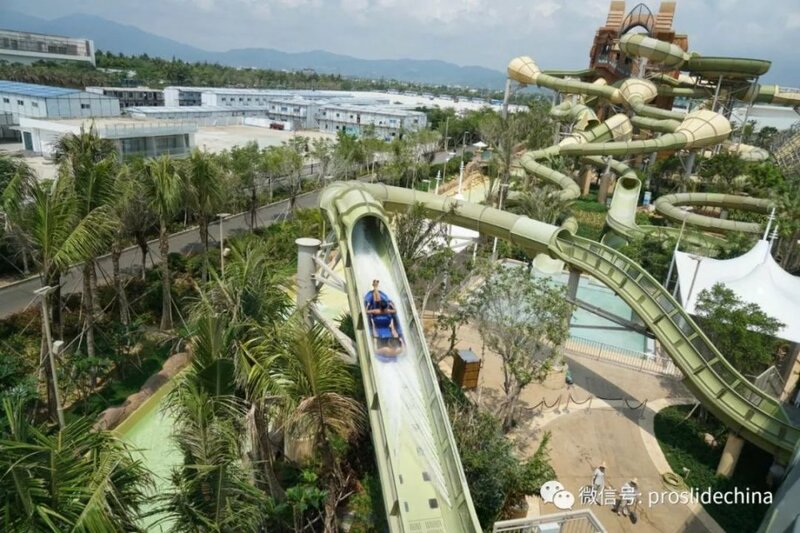 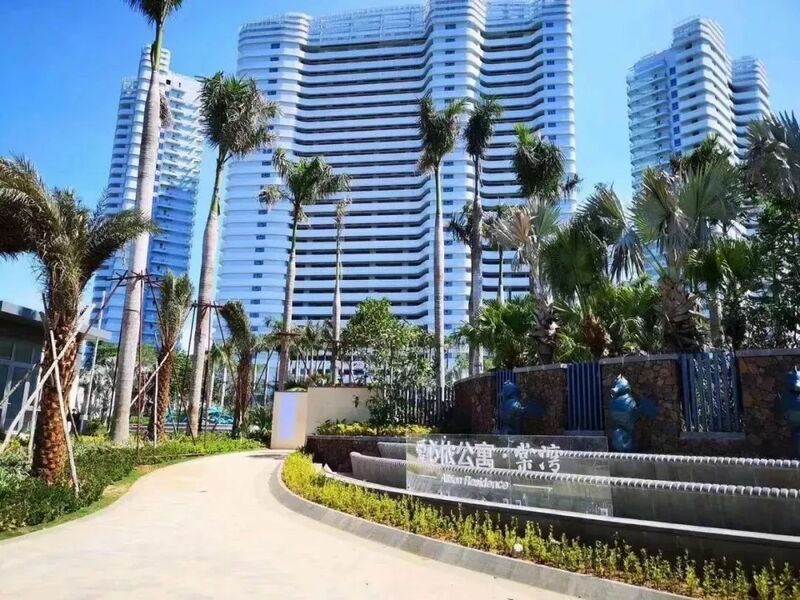 Atlantis Sanya is now officially open!